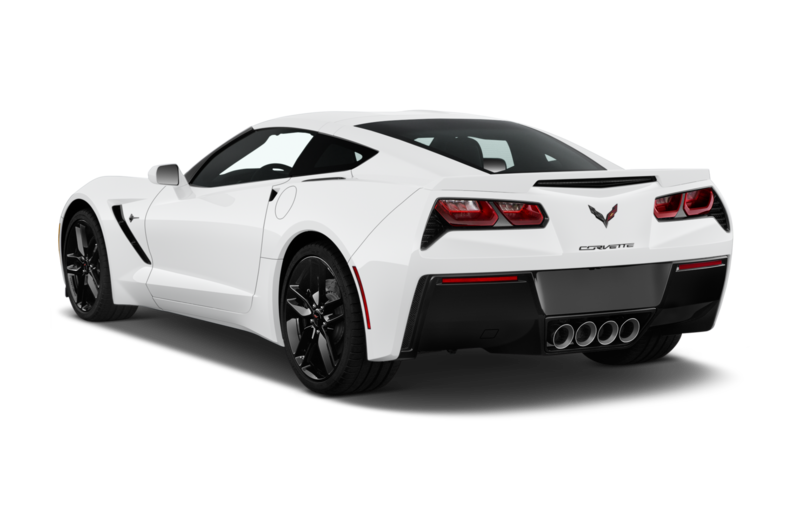 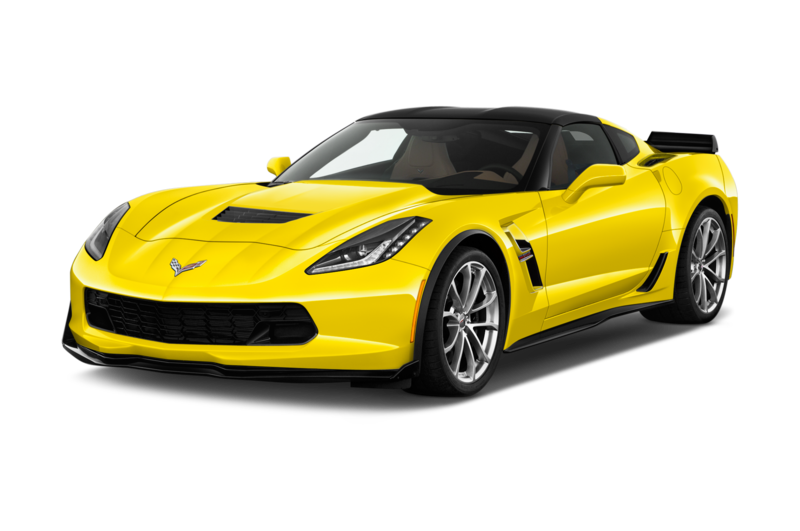 The first time Teddy Roosevelt’s words, “Speak softly and carry a big stick,” occurred to me as I reviewed a car was while driving a 2009 Chevrolet Corvette ZR1. 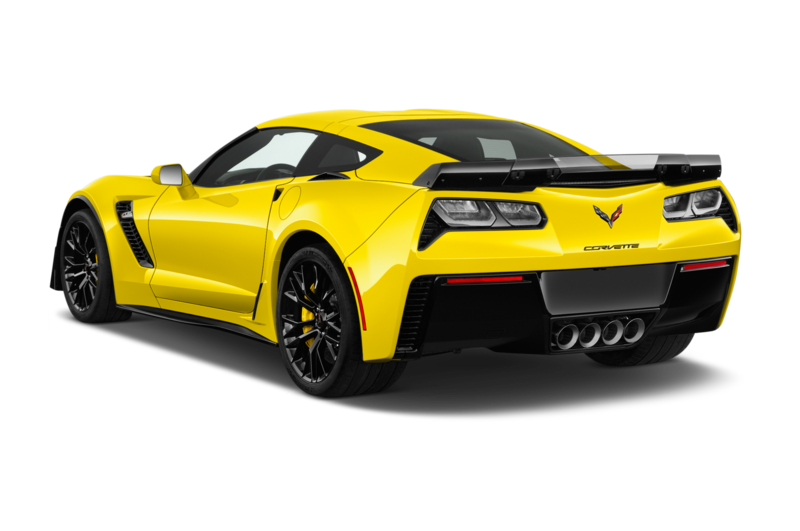 Now, after testing the new 2019 ZR1 on a couple of racetracks within the span of a few days, “Speak rudely and wield a really fat club” might be more appropriate. 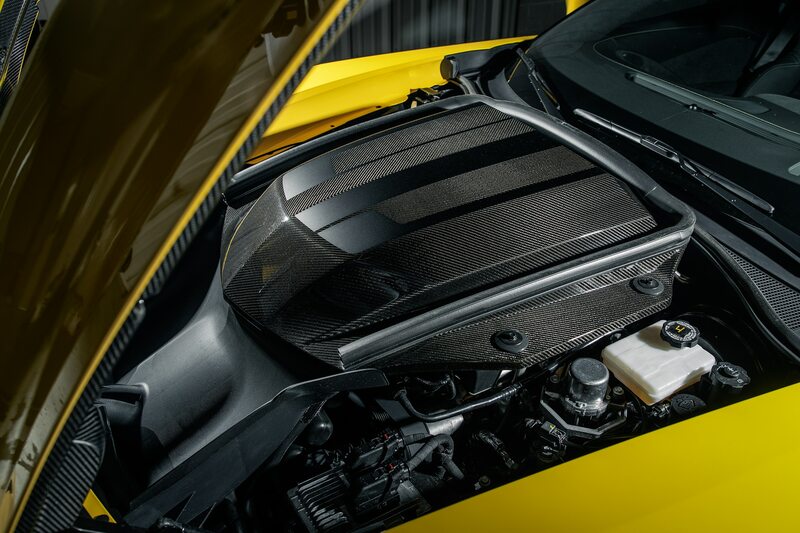 Oh, and don’t forget the engine. 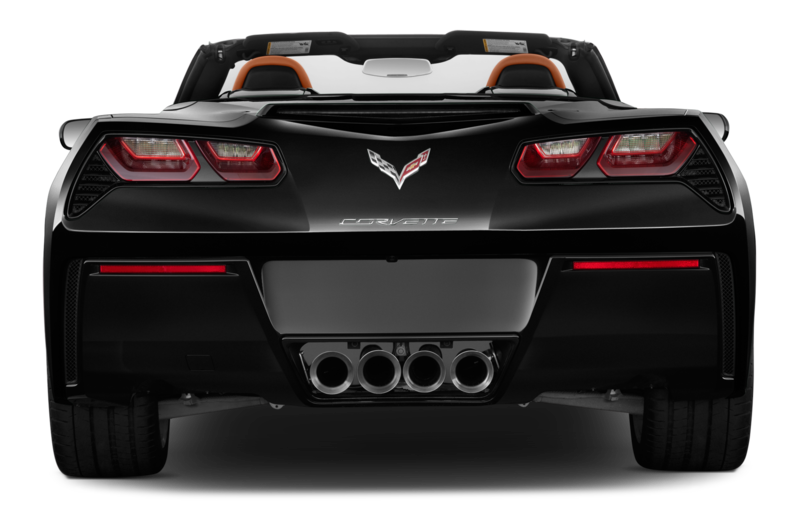 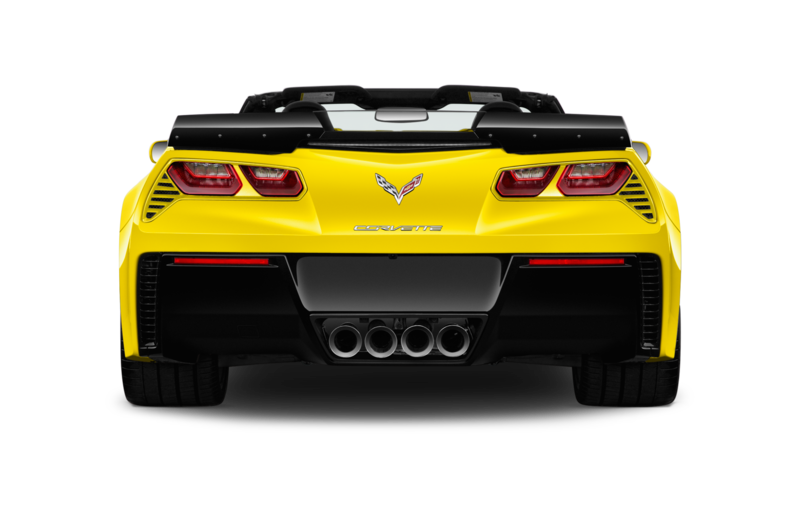 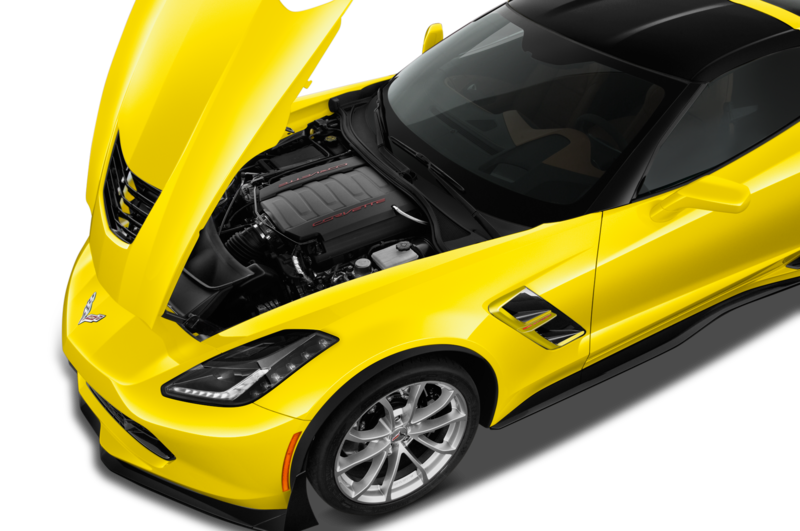 Corvette engineers were not content with the kidney-flattening supercharged LT4 V-8 that kicks out 650 hp and 650 lb-ft of torque in the Z06. 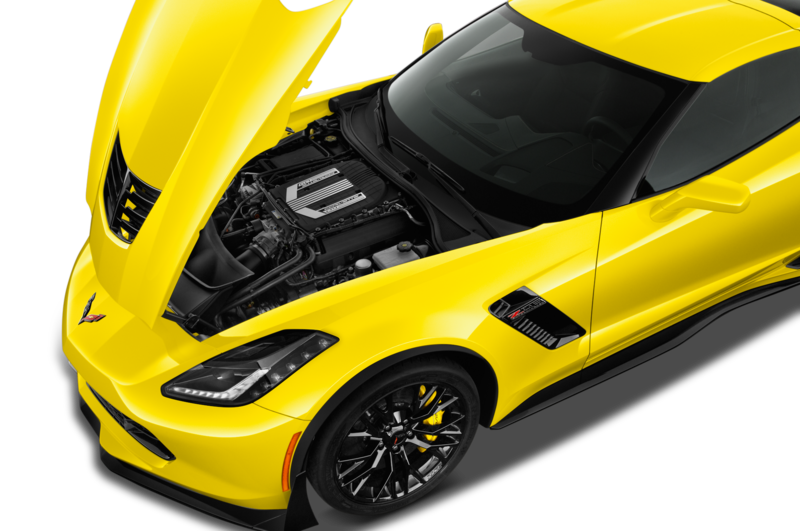 The new ZR1 has a supercharged LT5 V-8 spitting 755 horsepower at 6,300 rpm and 715 lb-ft at 4,400 rpm. 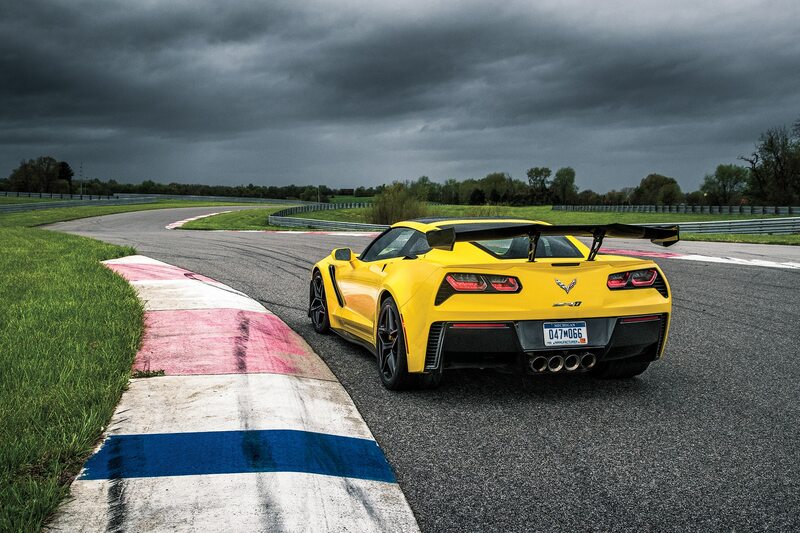 Certified top speed is 212.49 mph, which came from a two-way average (215 mph/210 mph). 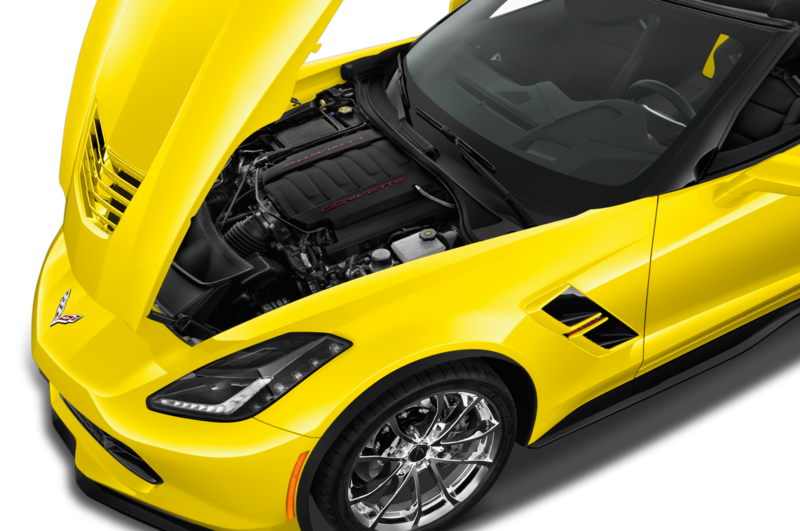 Chevy restricts the ZR1 to a top speed of 215 mph to be within tire-safety standards. 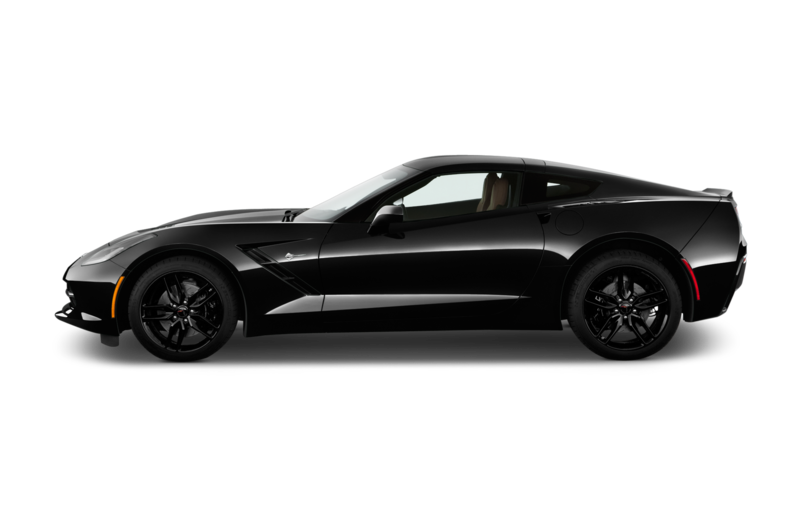 Base price for the coupe is $122,095 when you add the $2,100 gas guzzler tax. 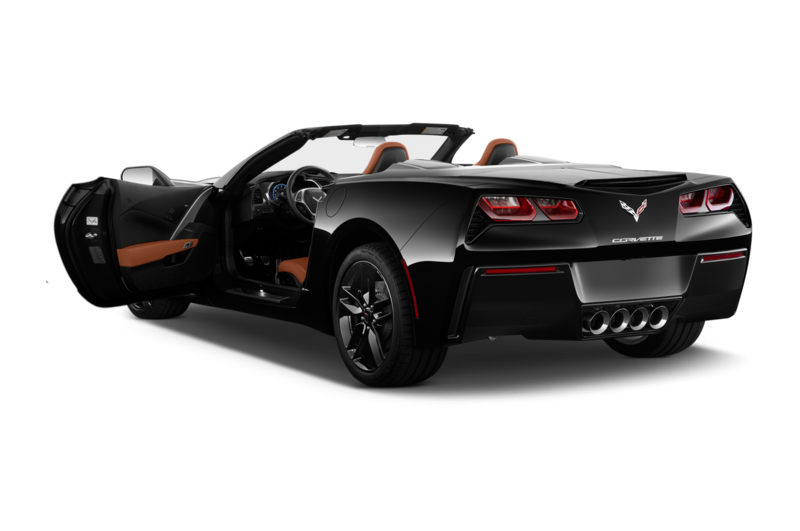 The convertible starts at $126,095. 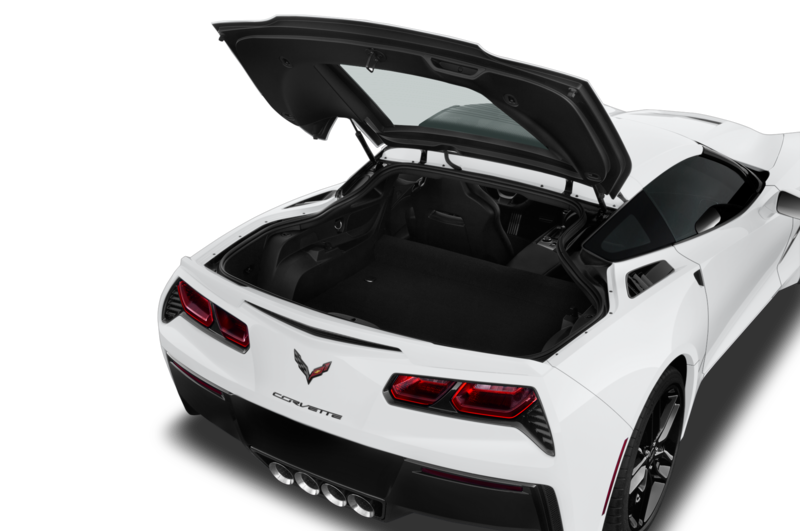 Hey, you only need one kidney, anyway. 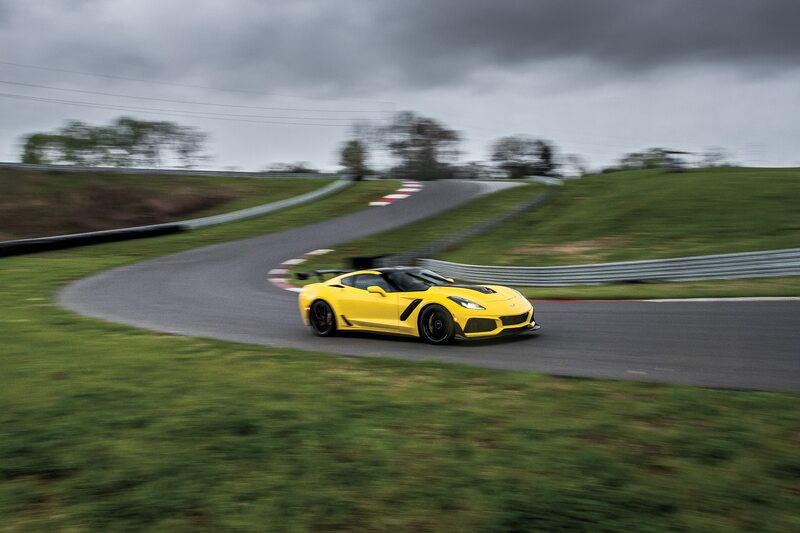 Coming into turn 1, the car was beyond 150 mph, still accelerating hard as I entered the brake zone. 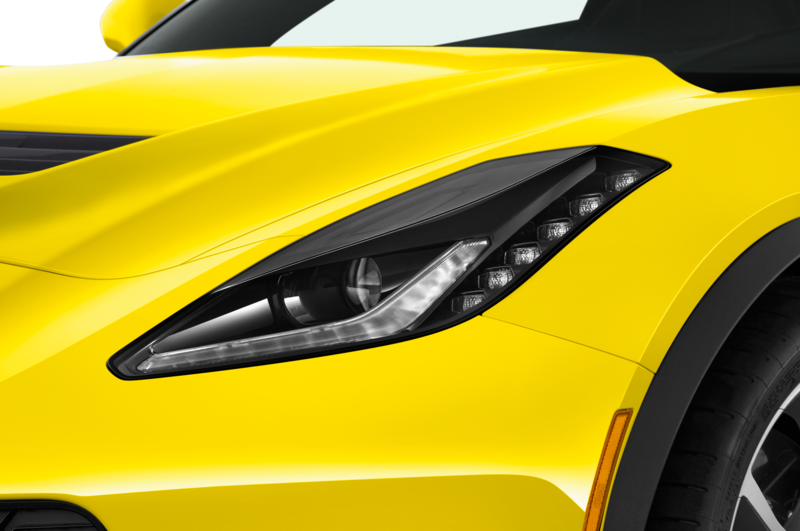 I pushed the stop pedal hard, and the ZR1 dutifully spit my eyeballs out of my head. 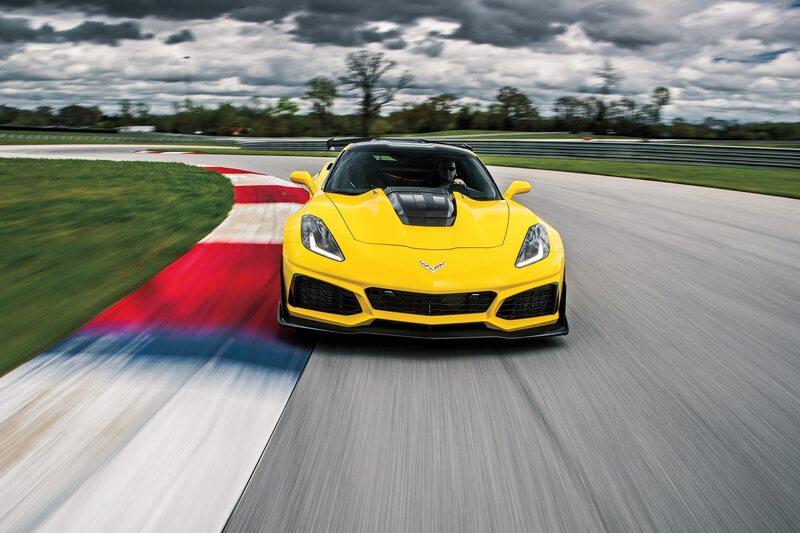 The ZR1 is a heavily track-focused performance car, but I did drive it for several hours on the road. 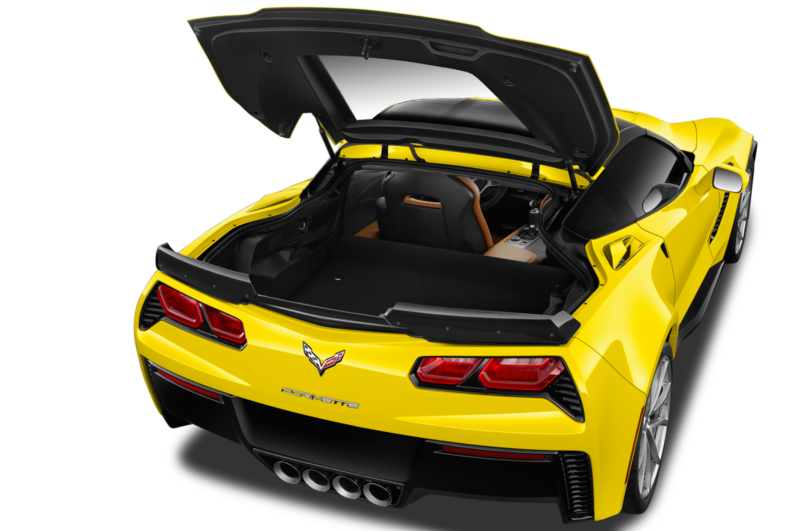 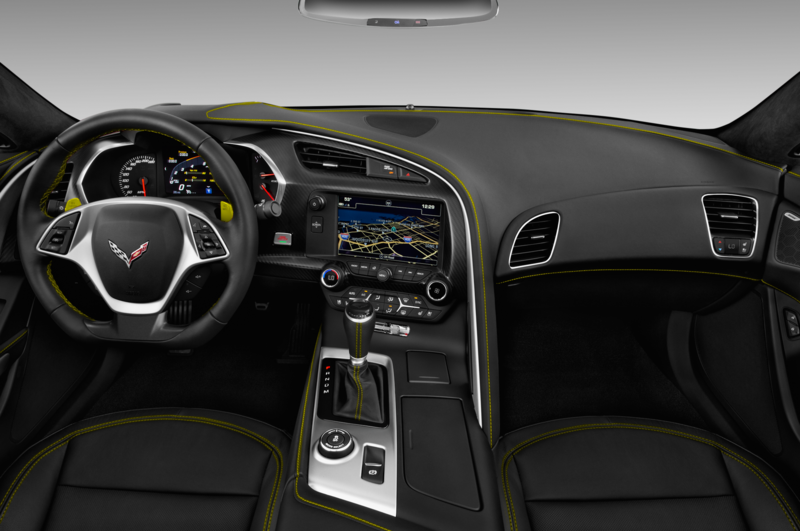 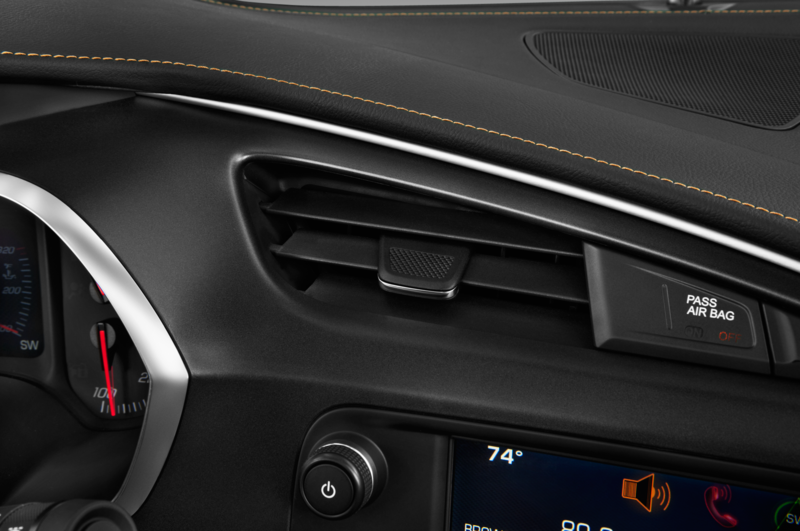 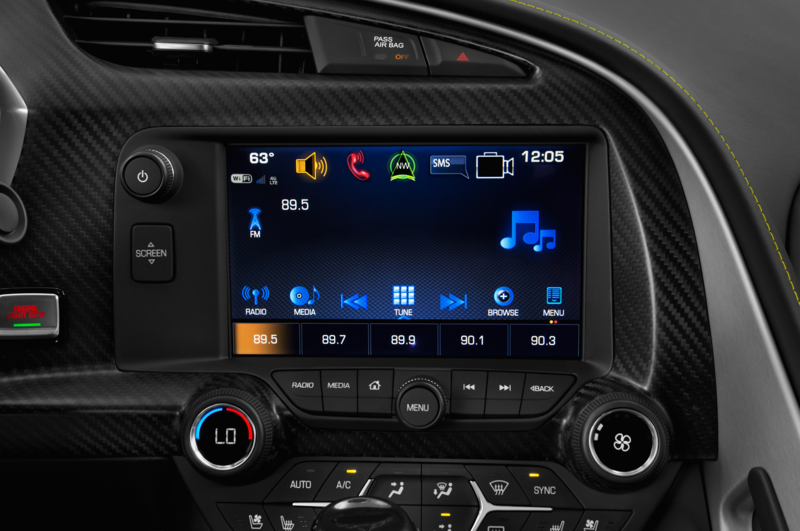 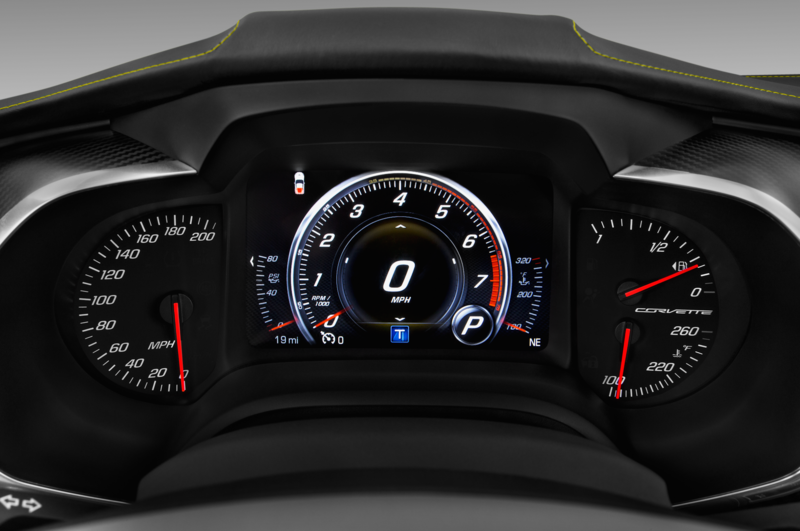 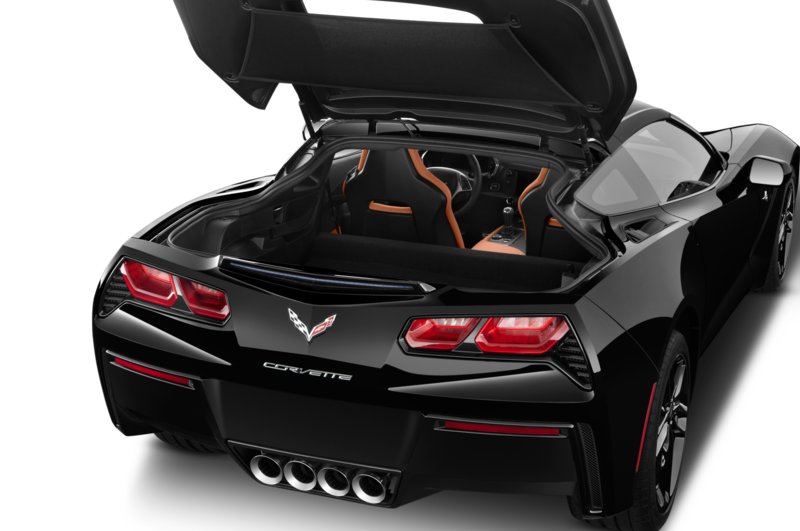 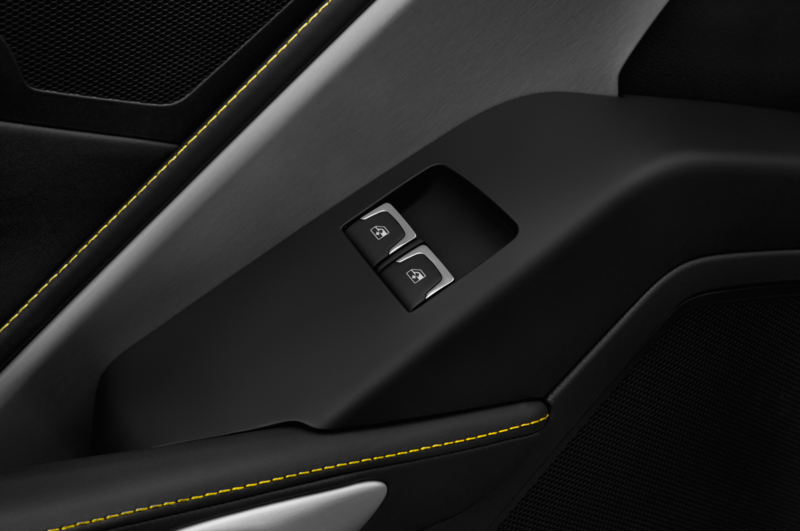 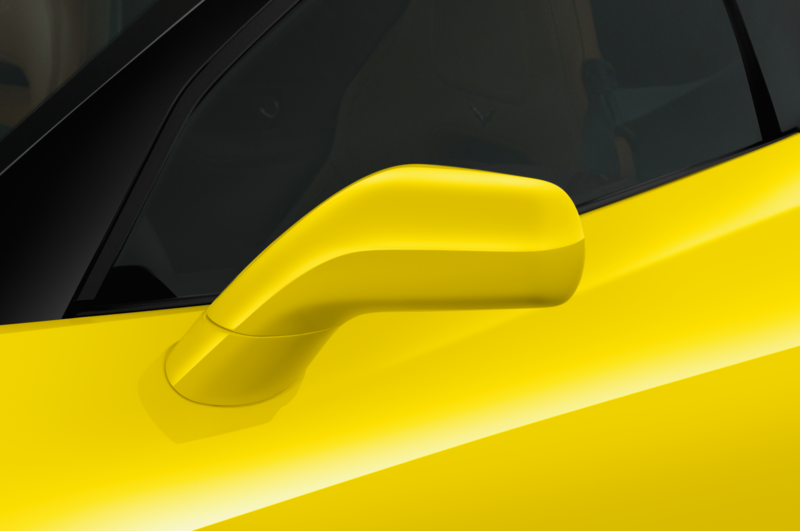 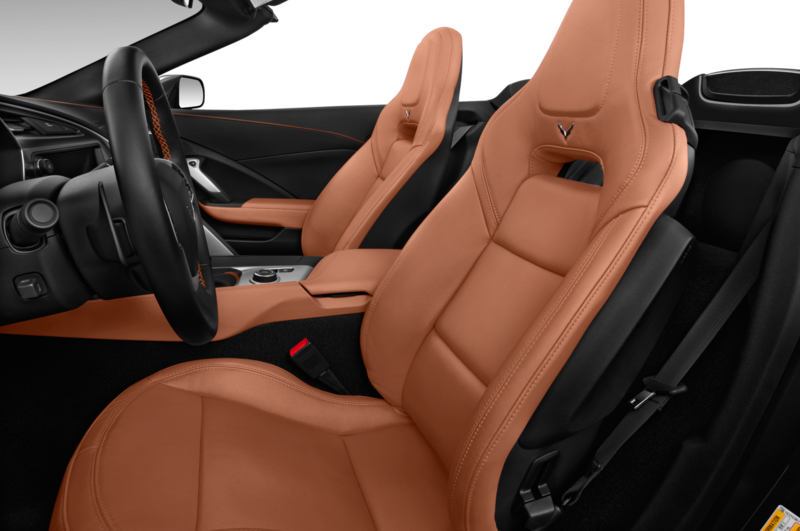 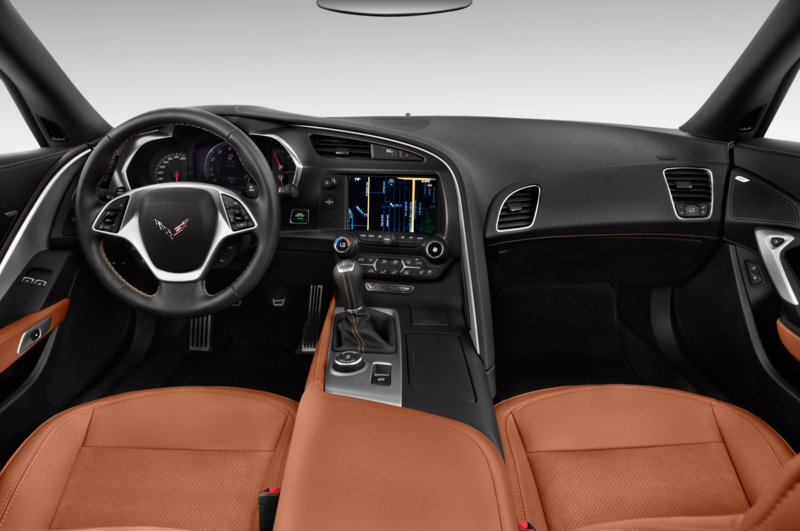 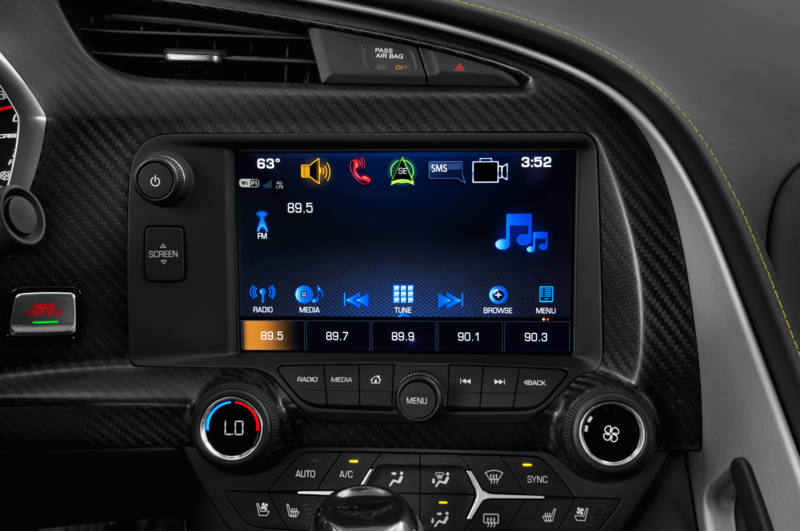 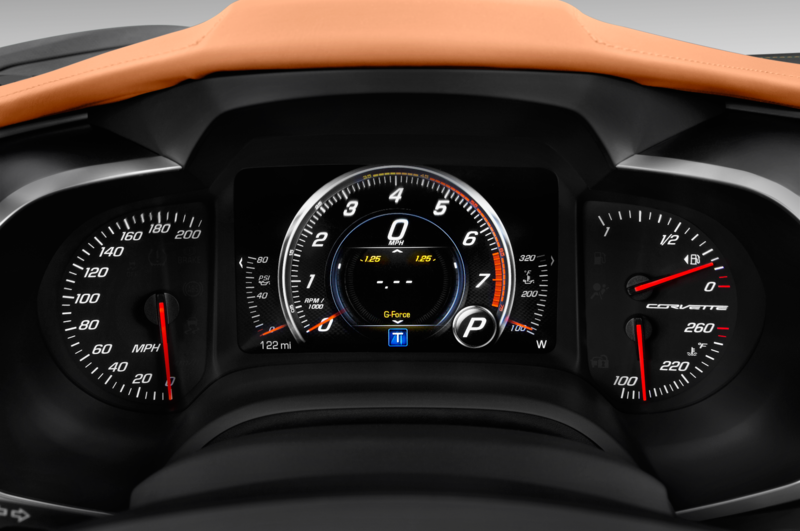 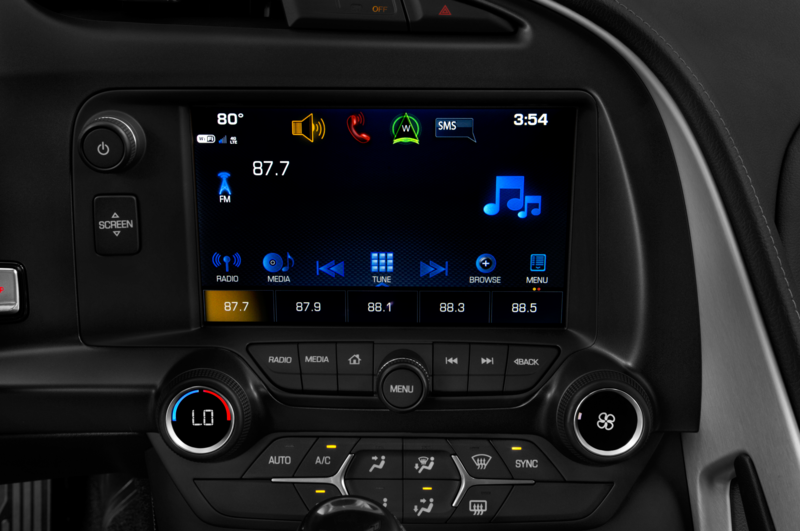 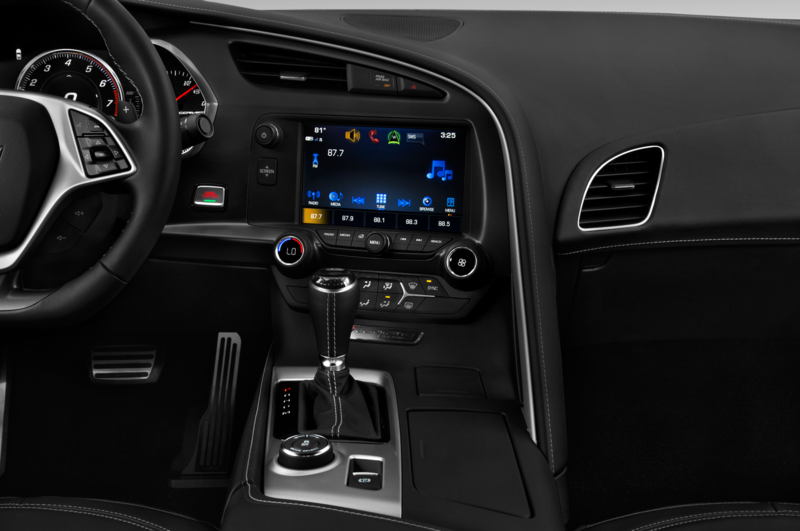 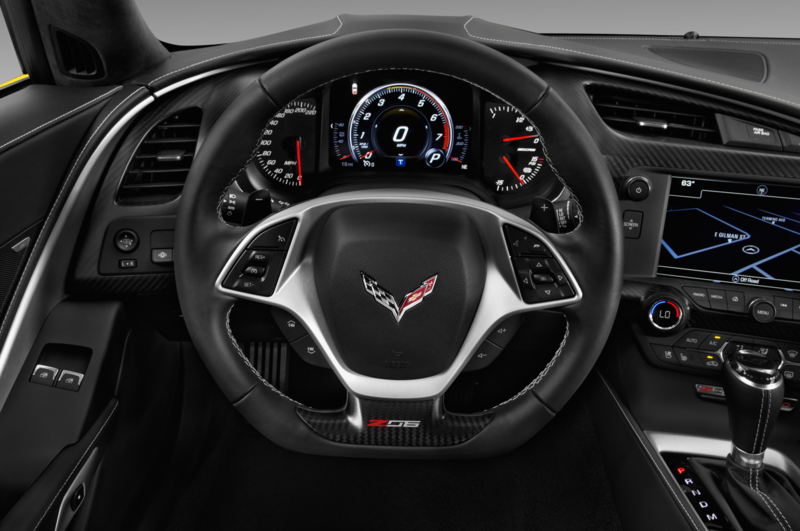 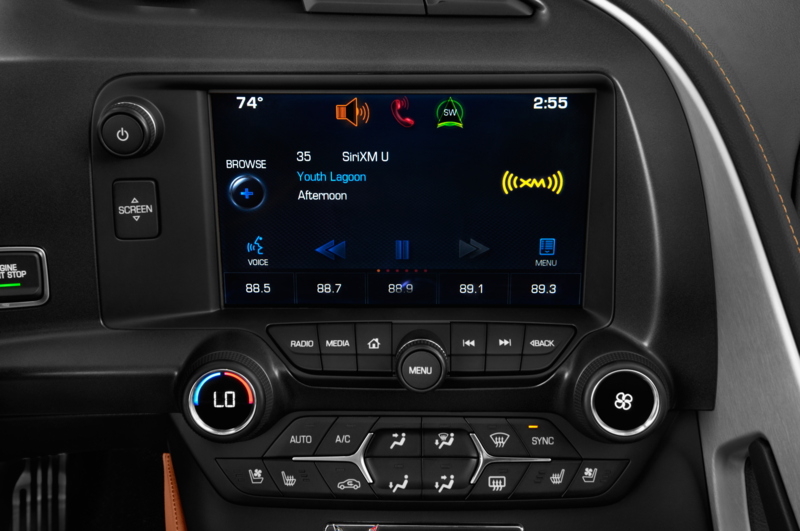 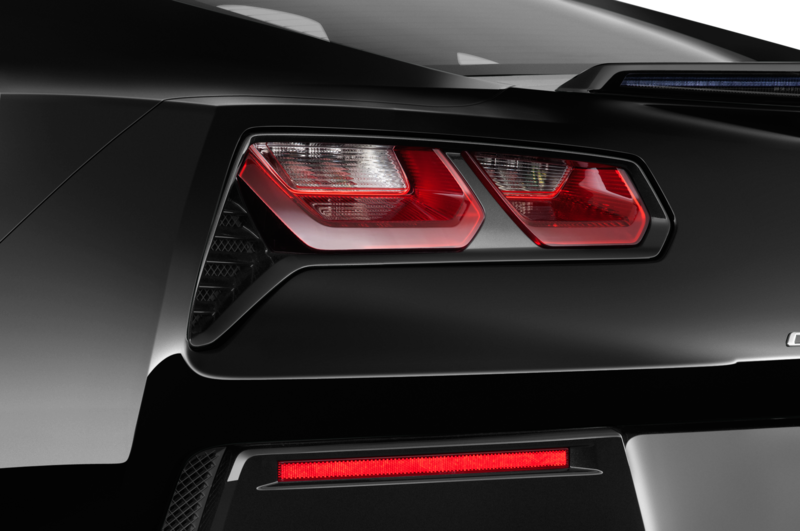 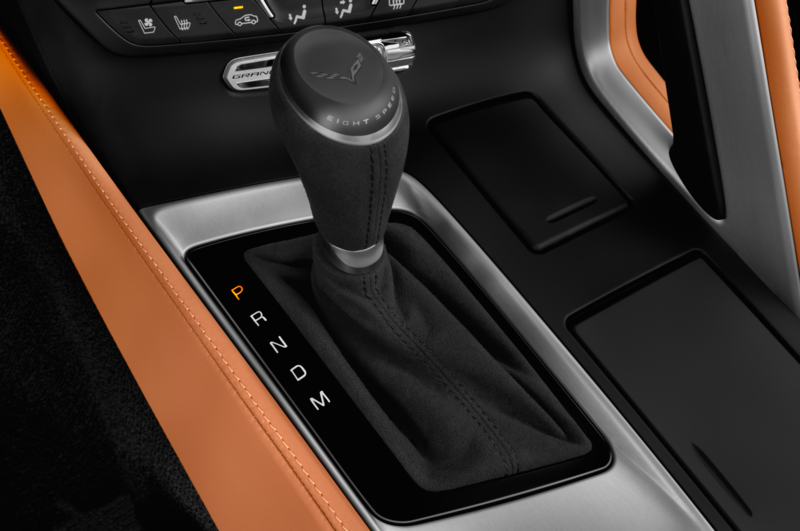 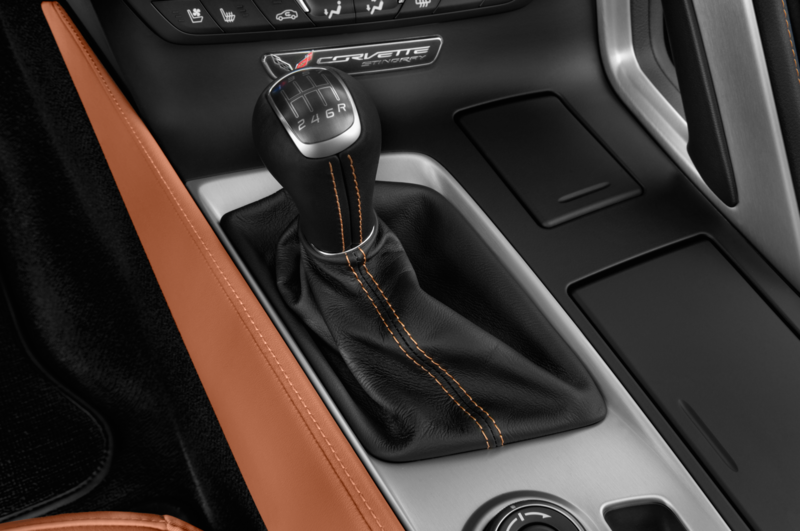 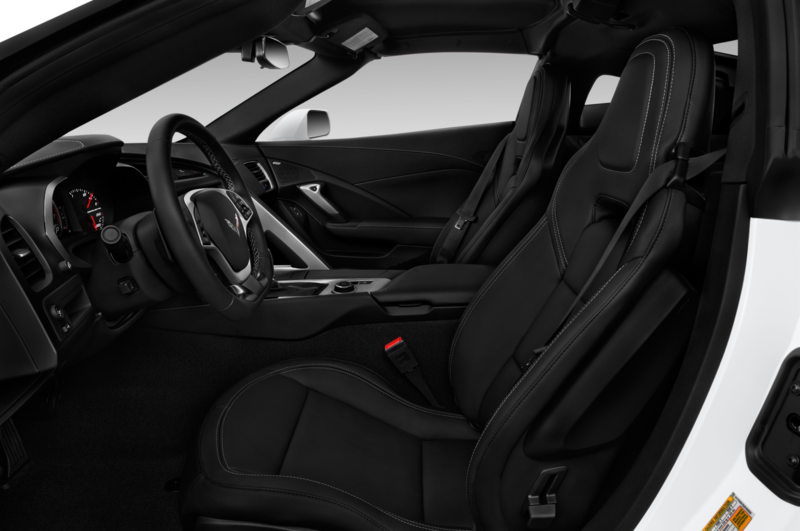 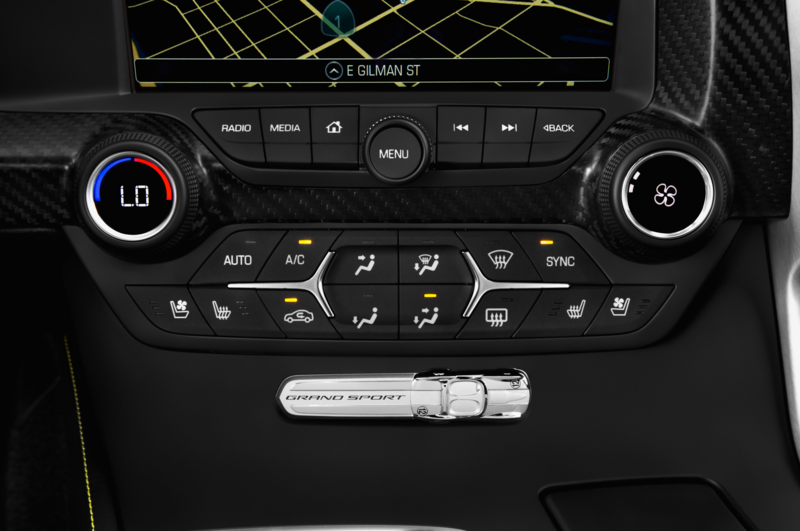 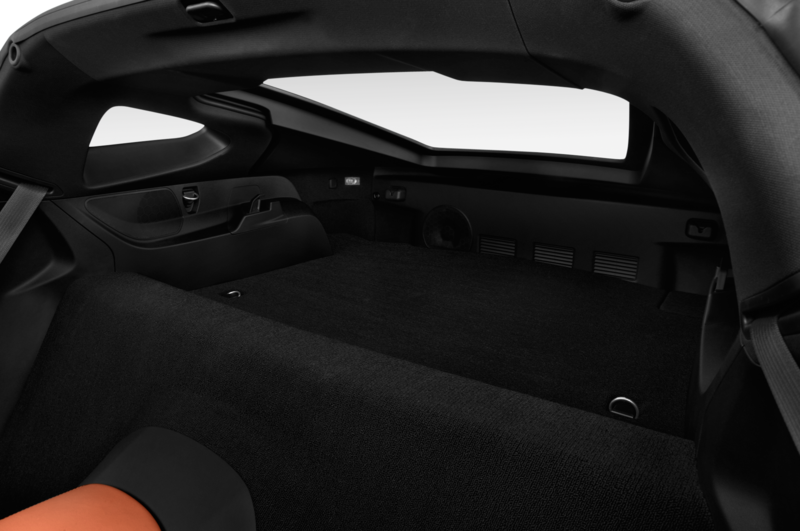 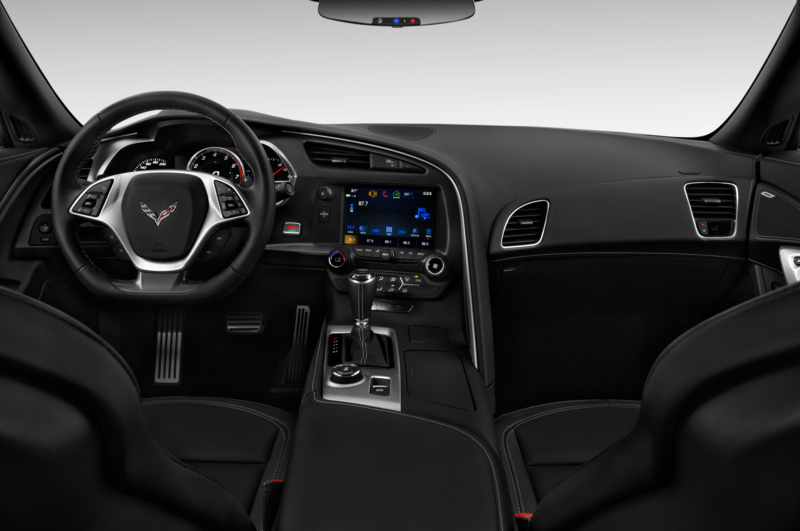 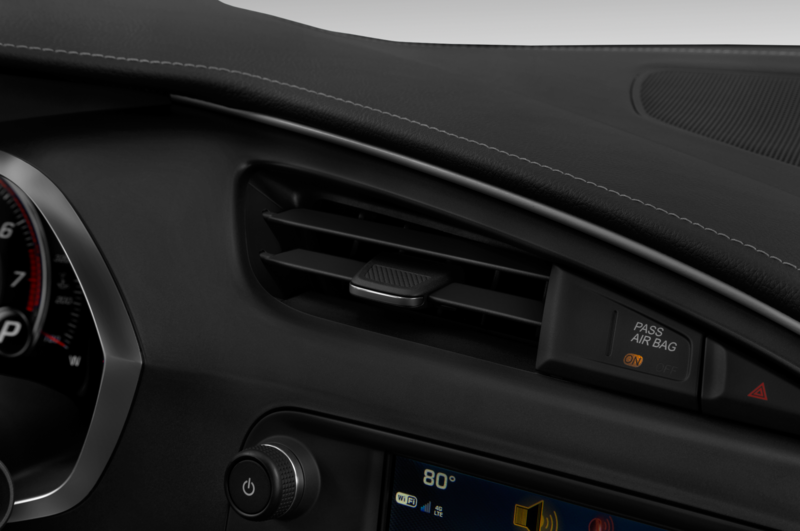 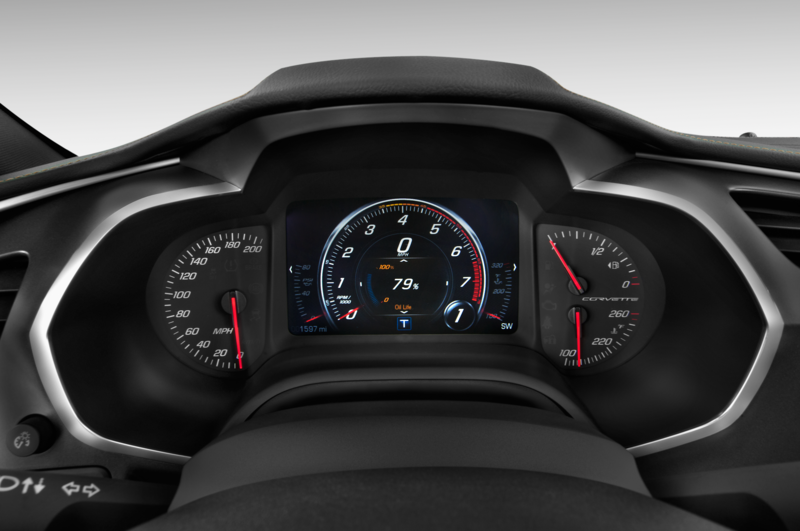 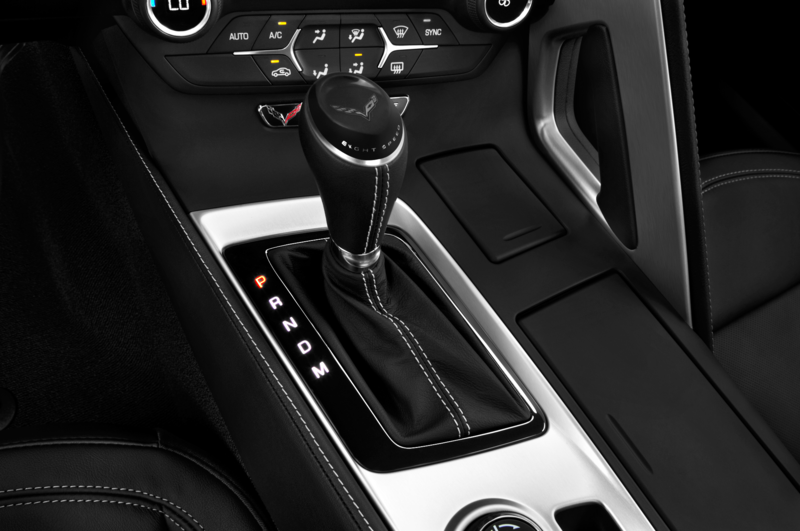 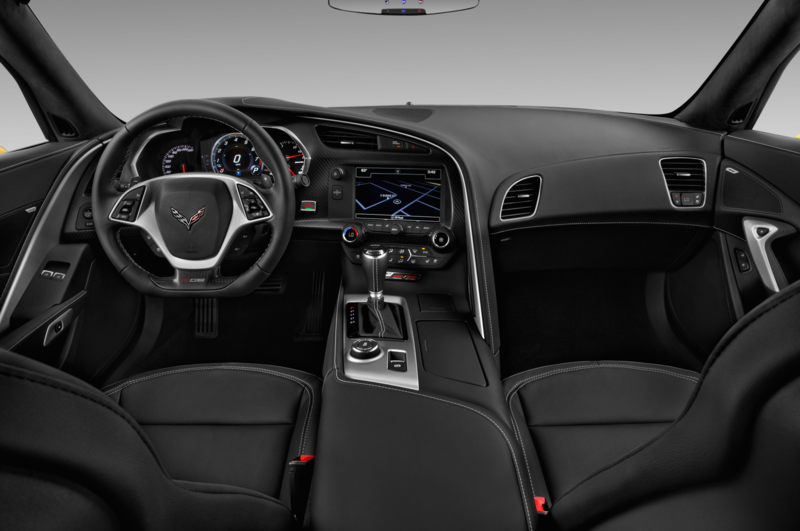 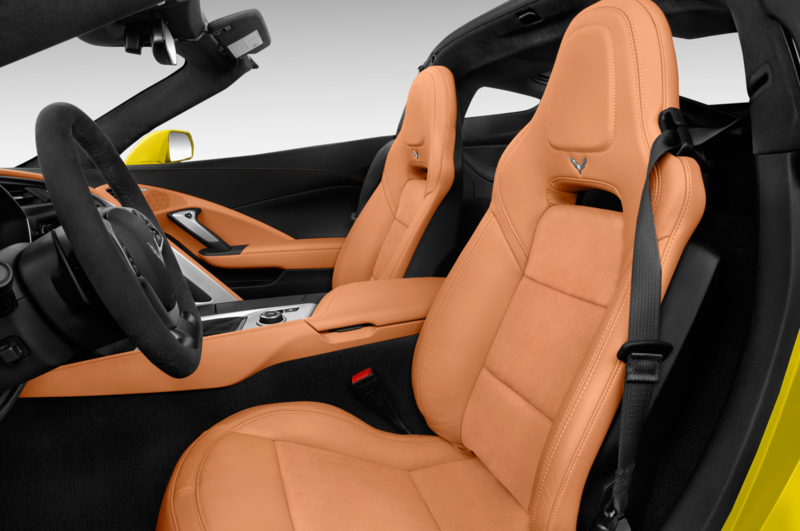 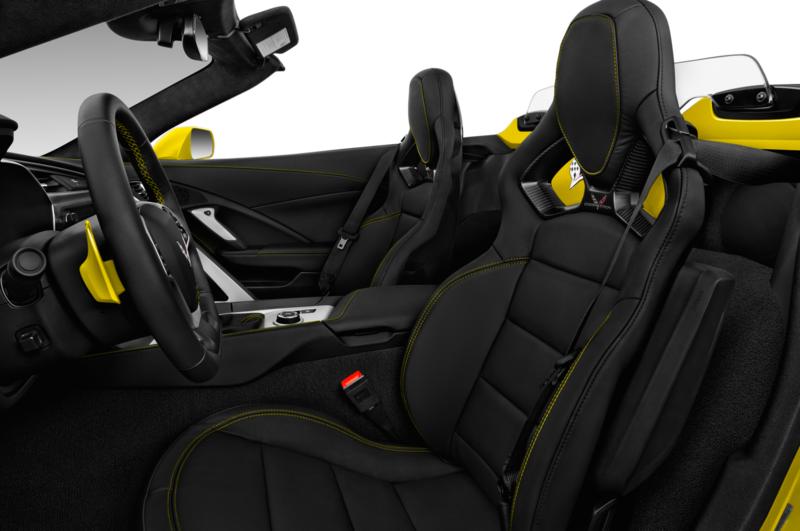 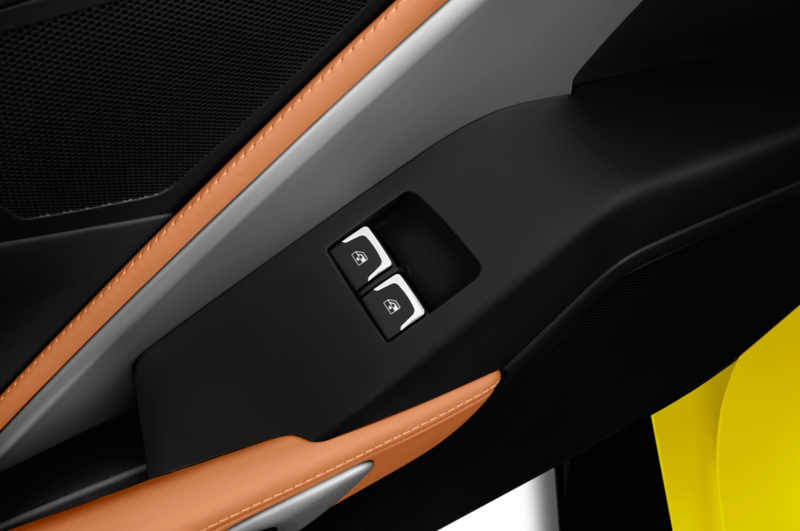 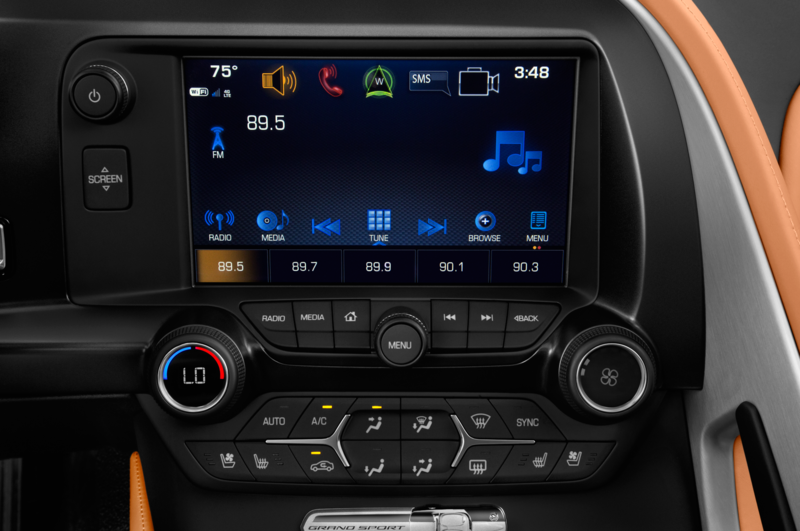 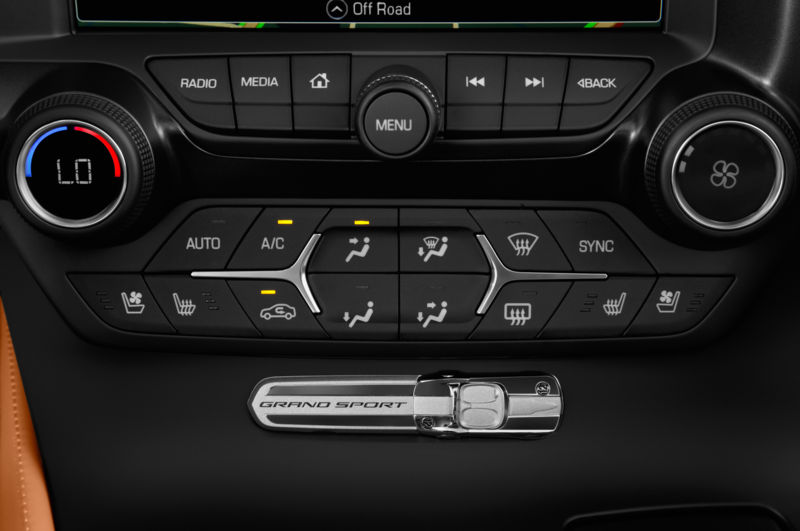 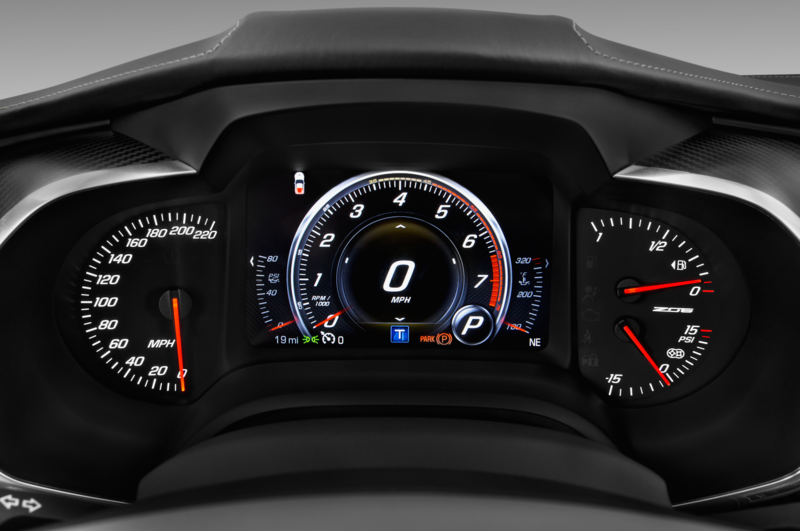 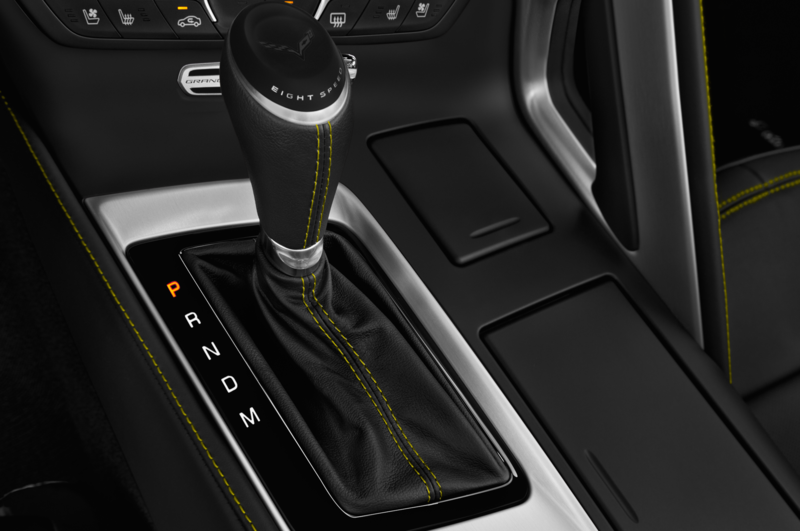 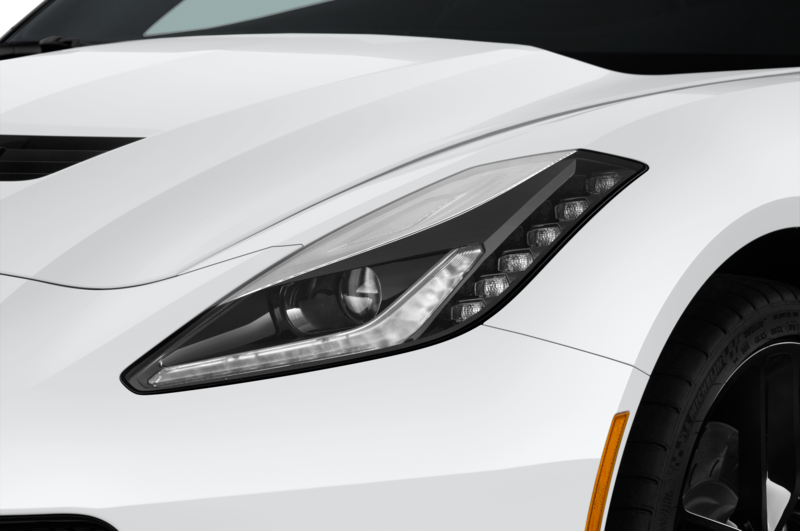 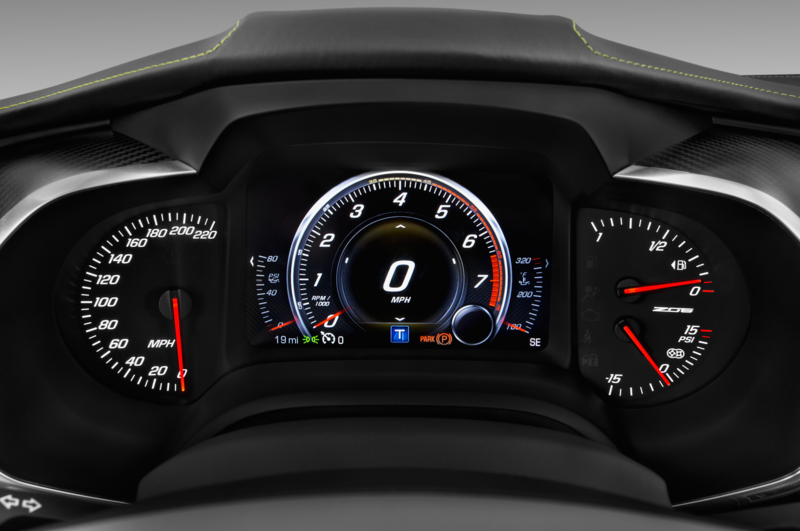 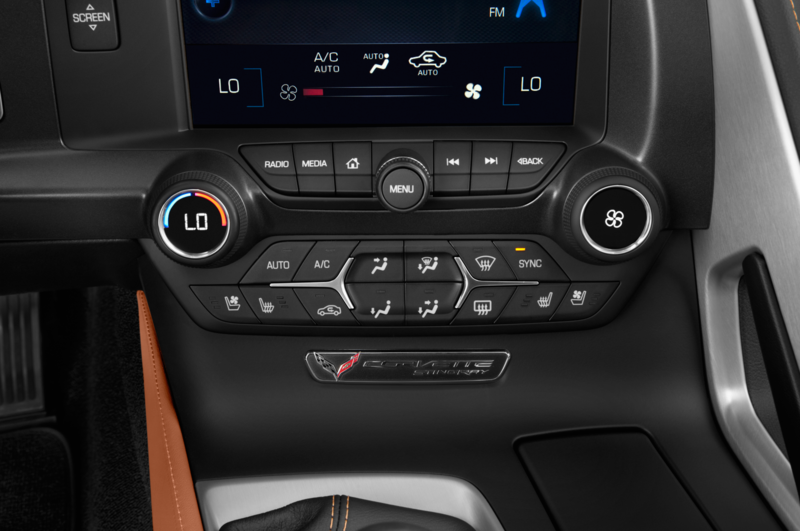 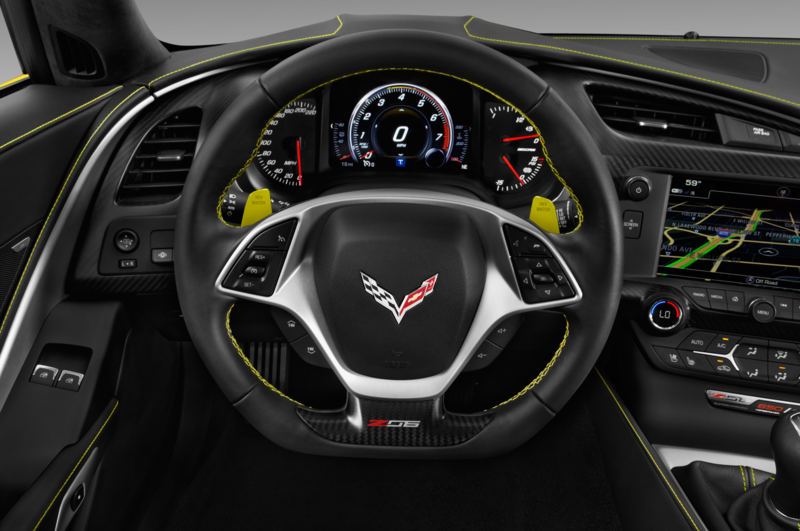 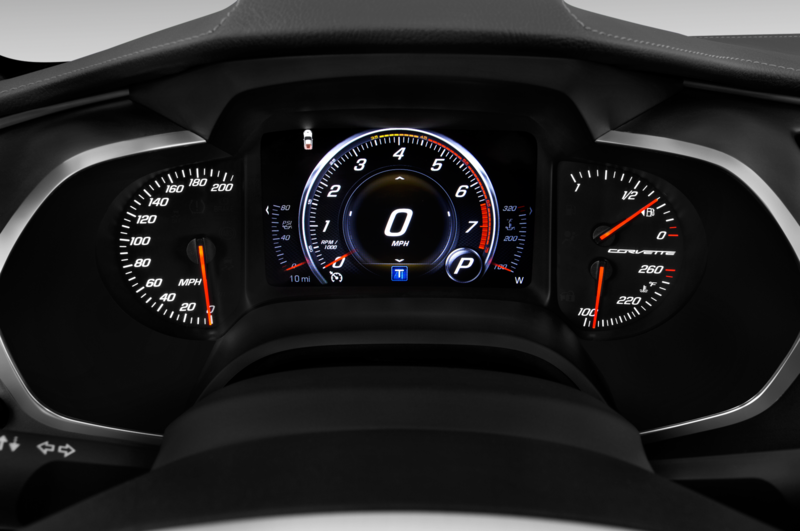 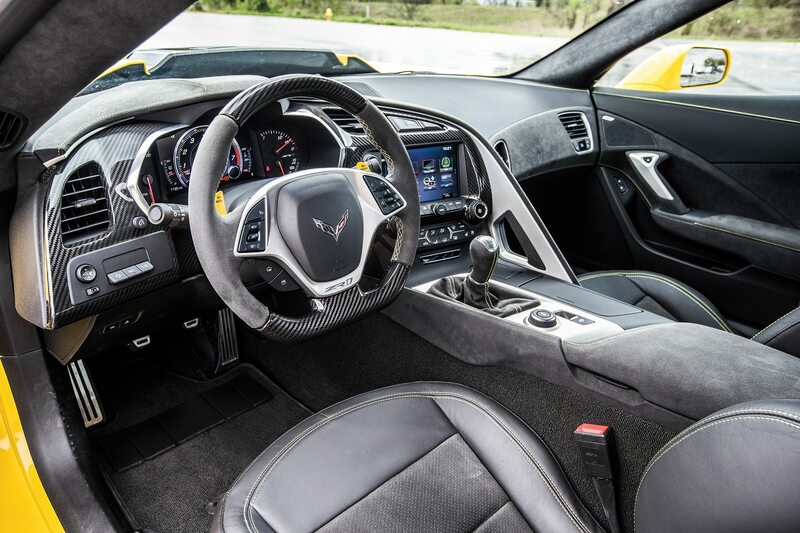 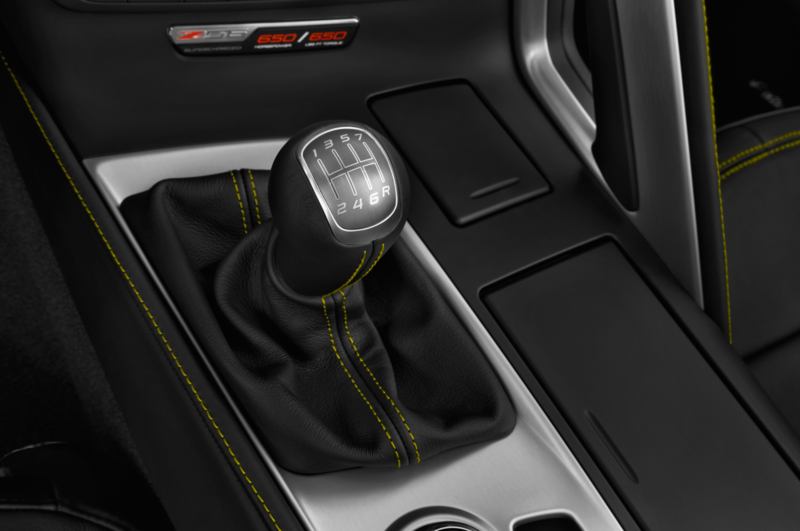 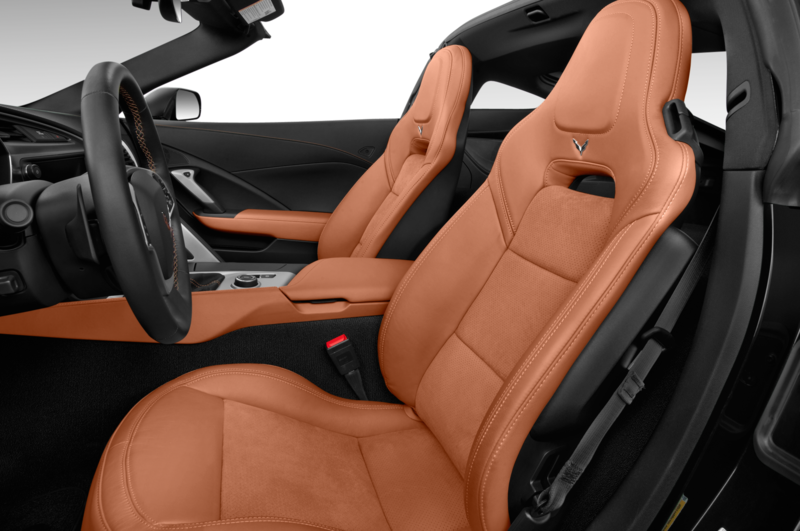 Corvette critics will note nothing particularly different about the ZR1’s interior or controls compared to other C7-generation models, which is no surprise because this is the end of the platform’s life cycle. 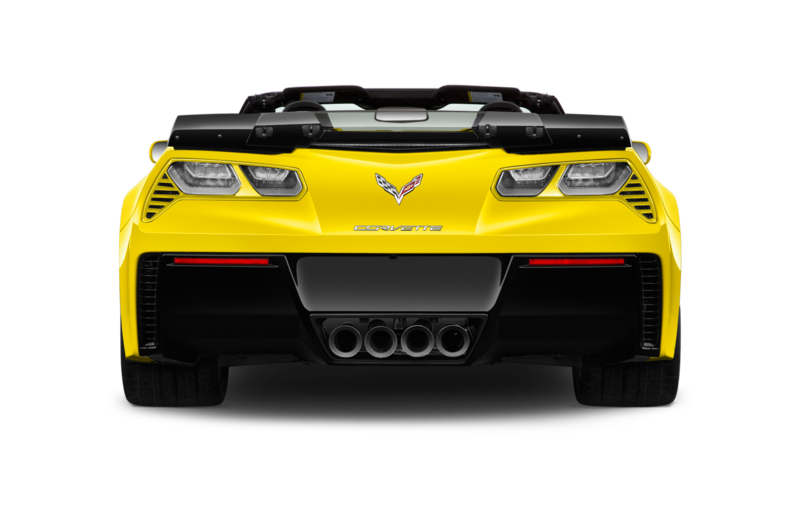 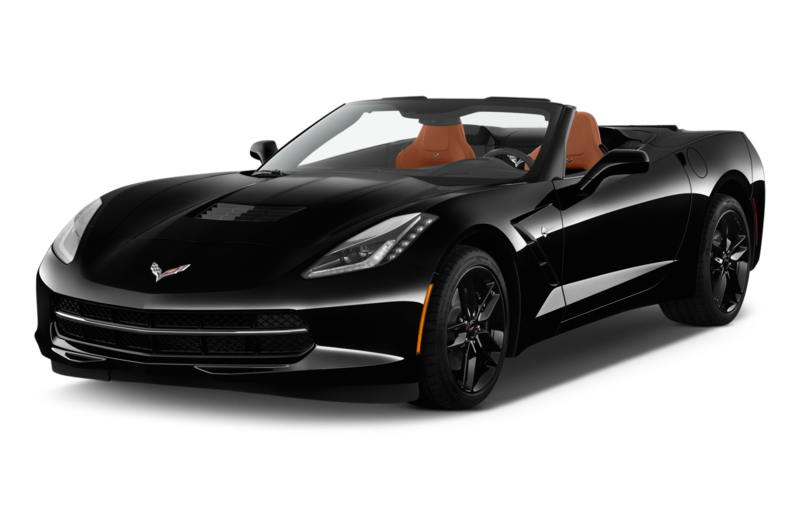 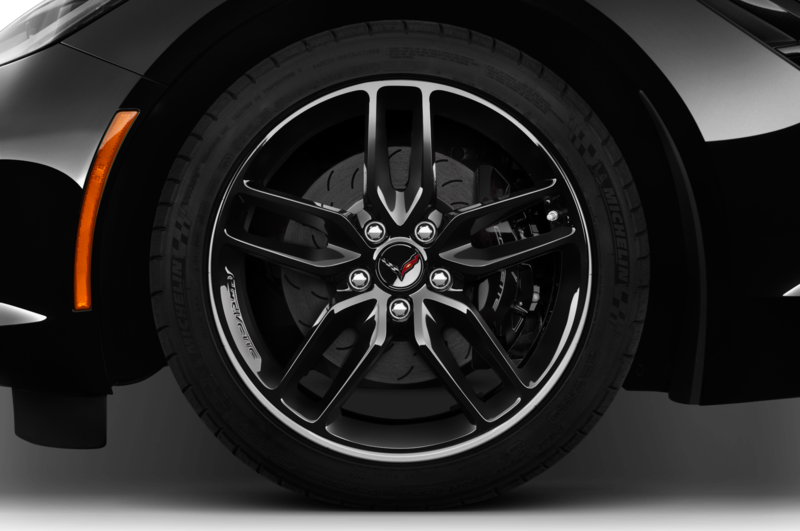 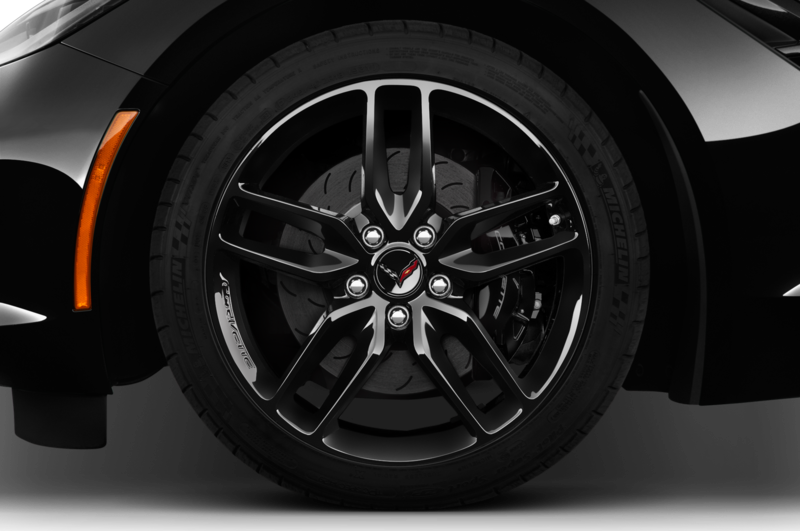 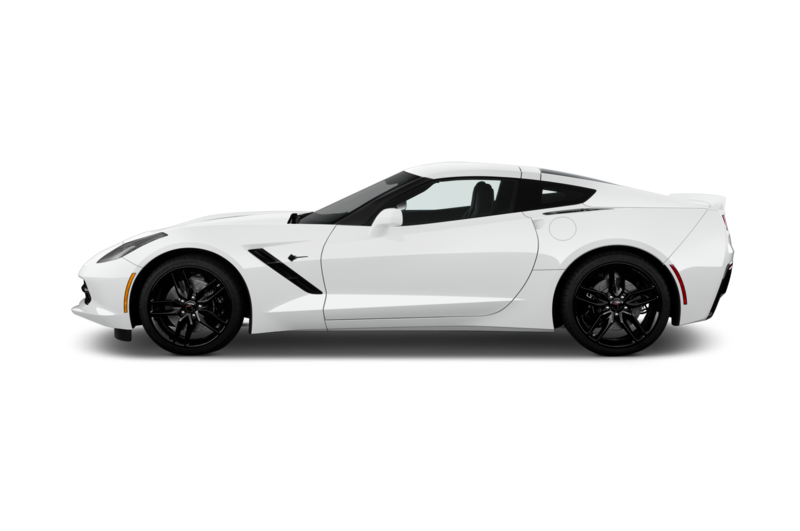 However, changes to the suspension and magnetic-ride shocks are noteworthy; they provide better ride quality and compliance over road imperfections, noticeable improvements compared to a Z06. 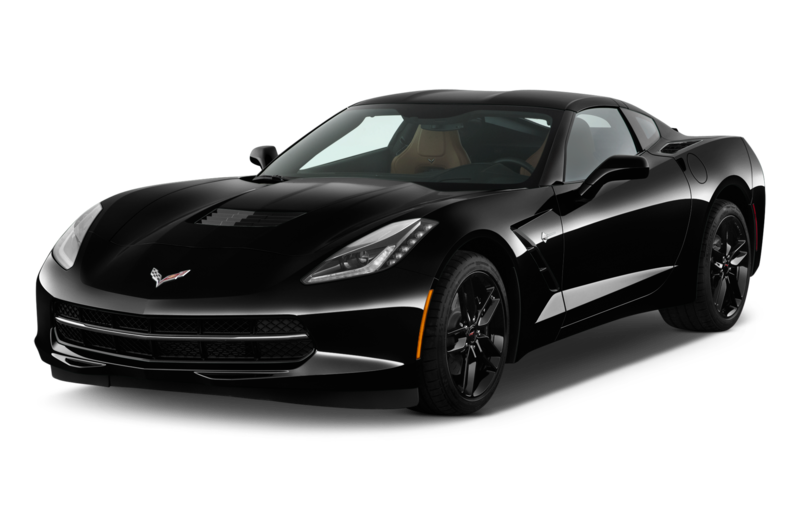 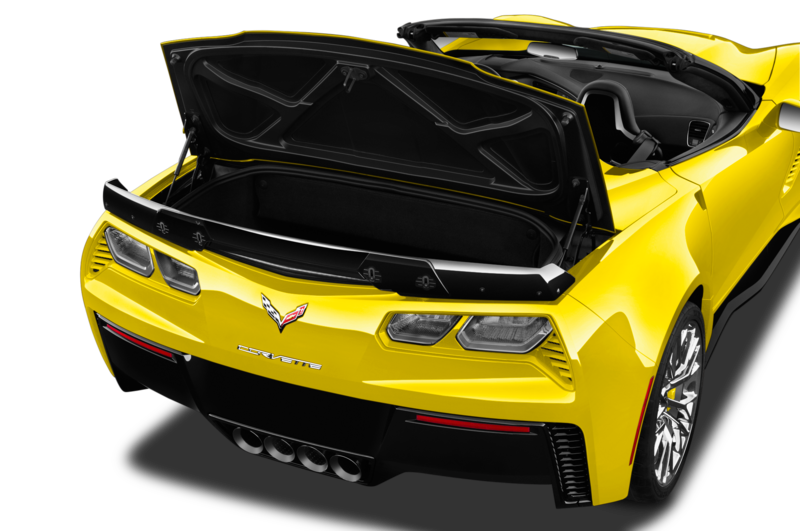 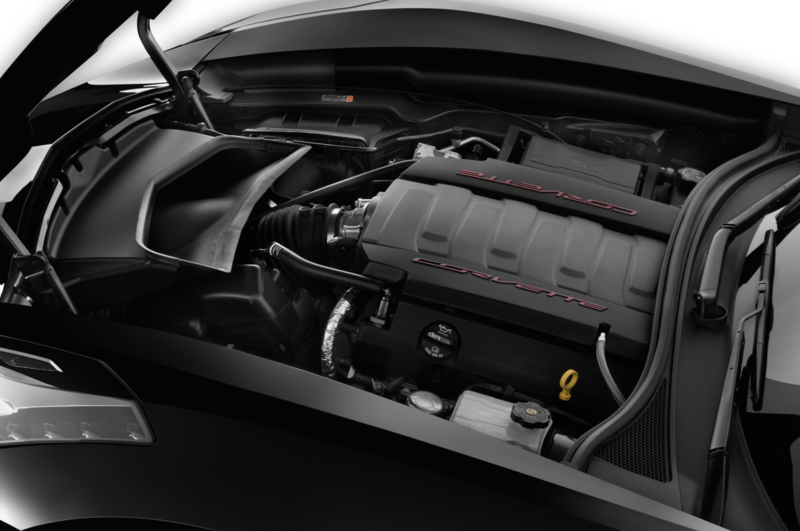 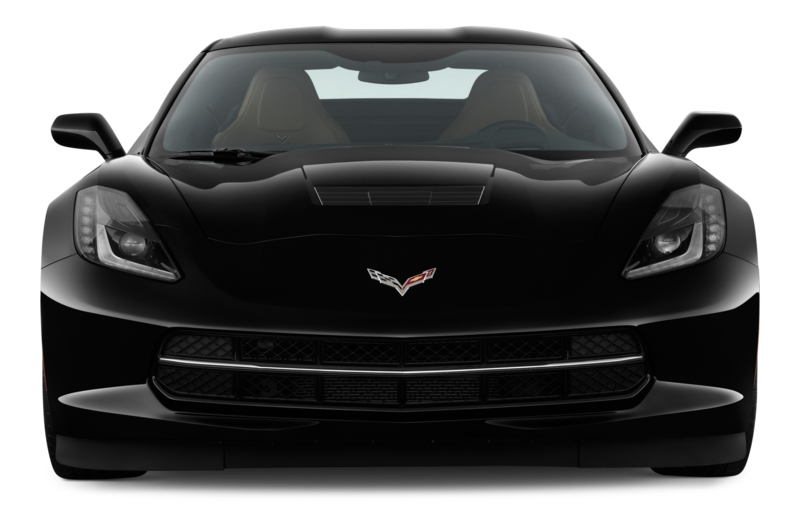 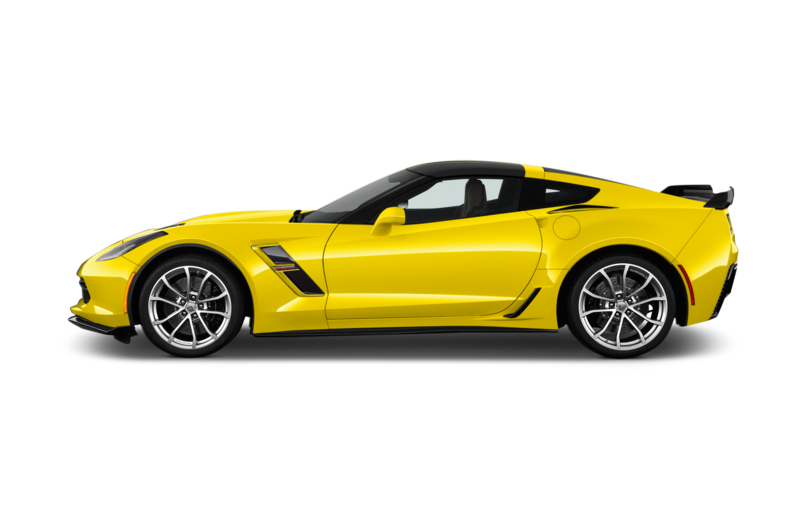 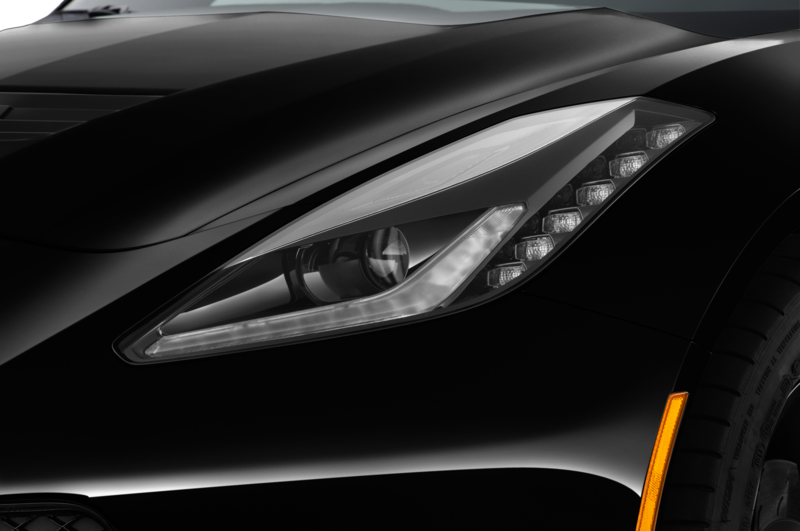 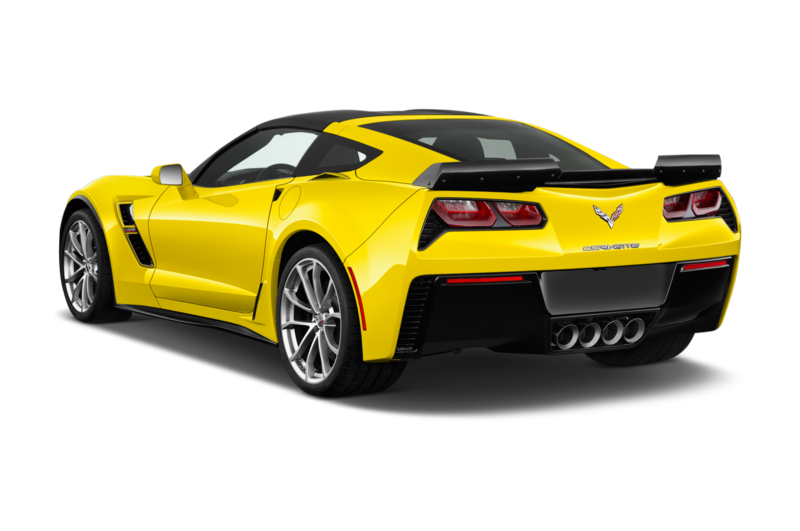 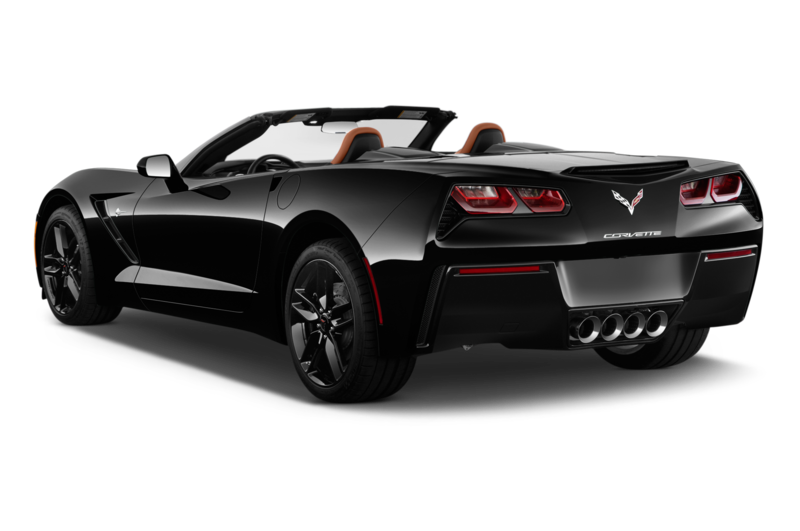 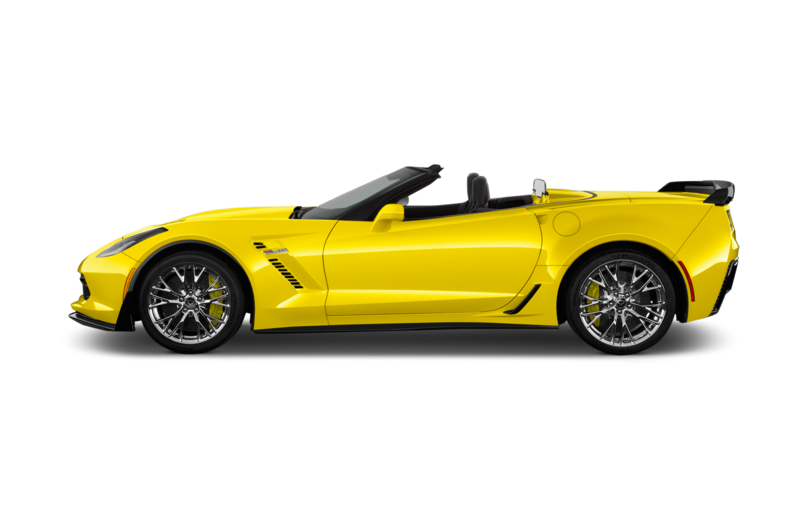 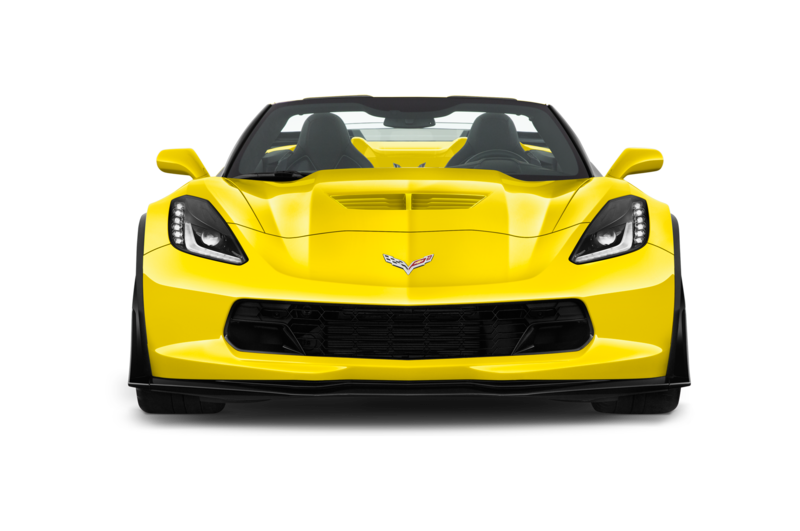 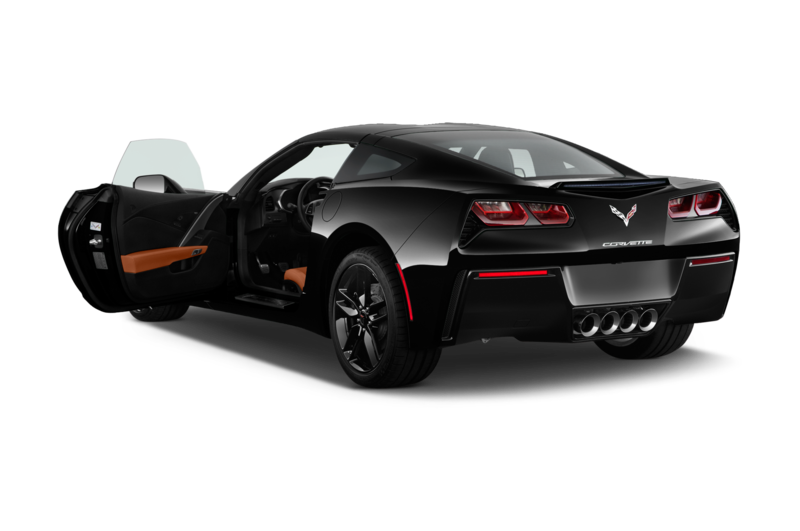 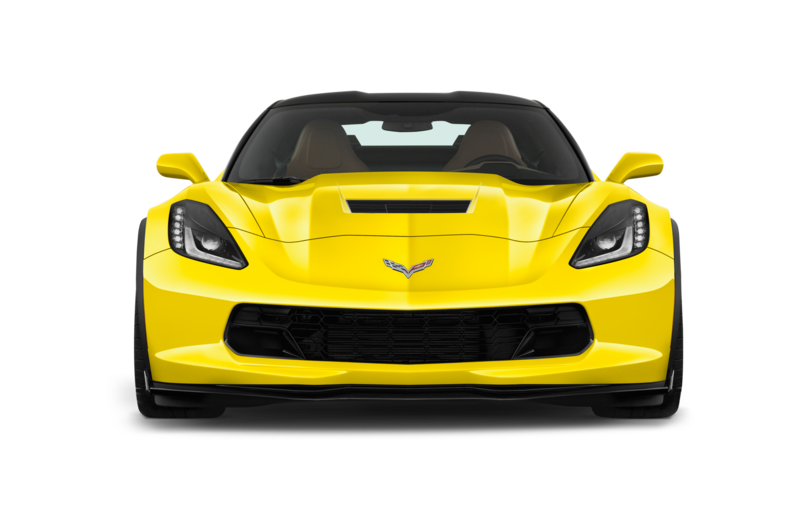 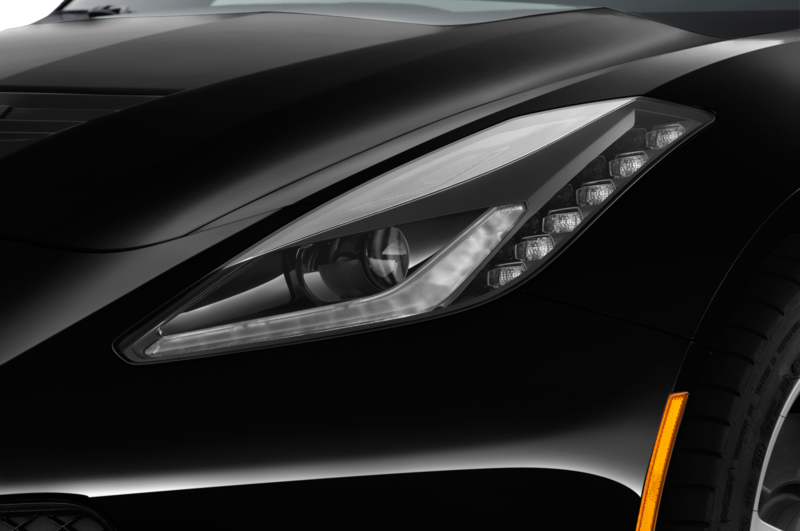 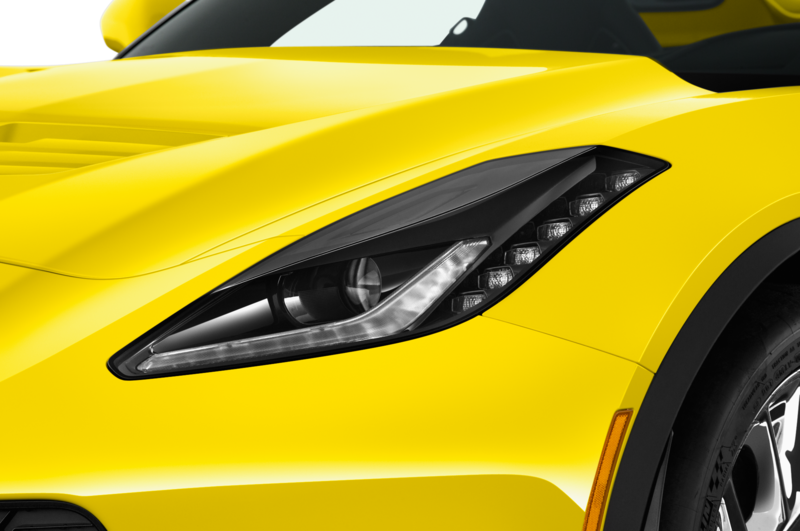 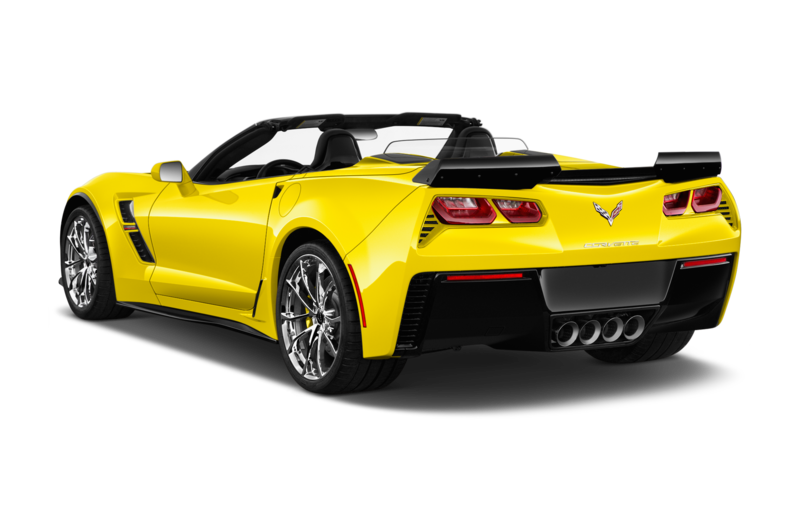 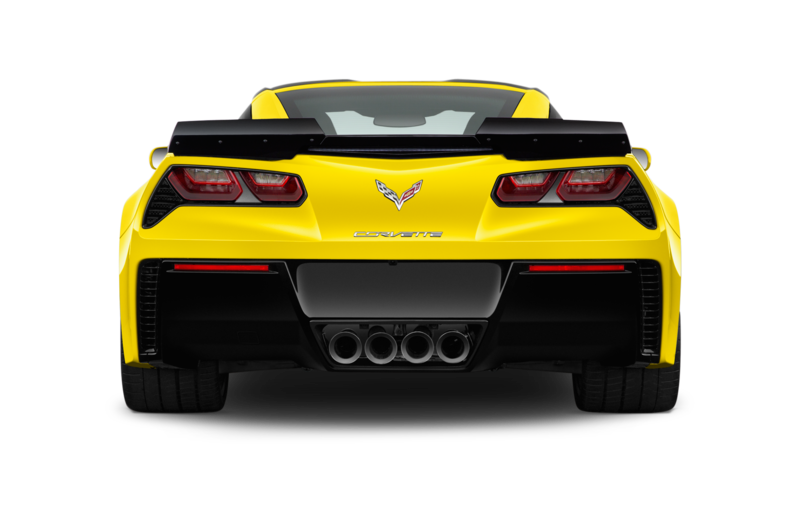 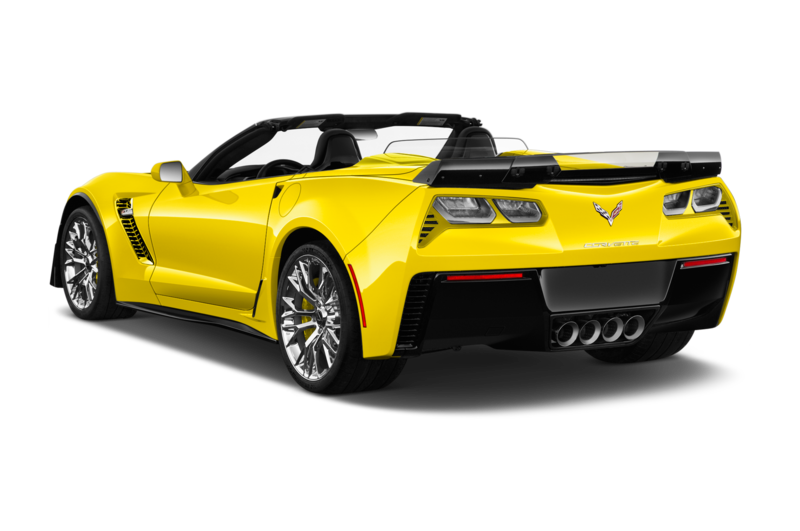 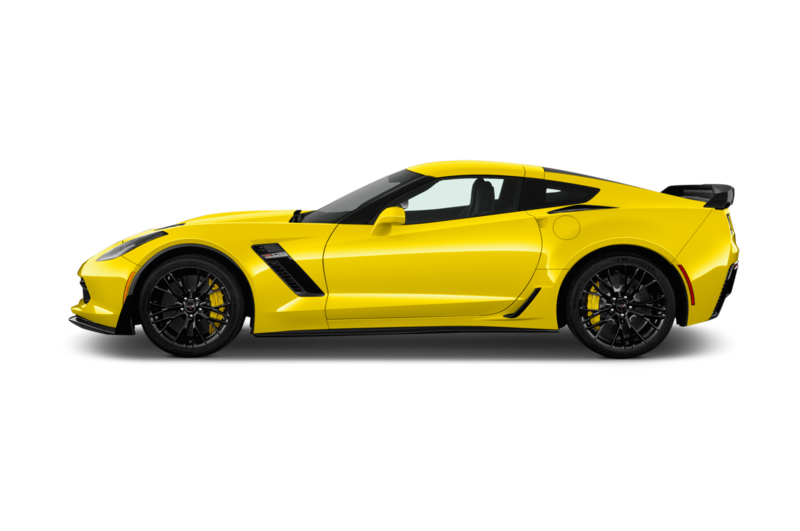 That said, new C7 Z06s now receive the same shock programming as the ZR1. 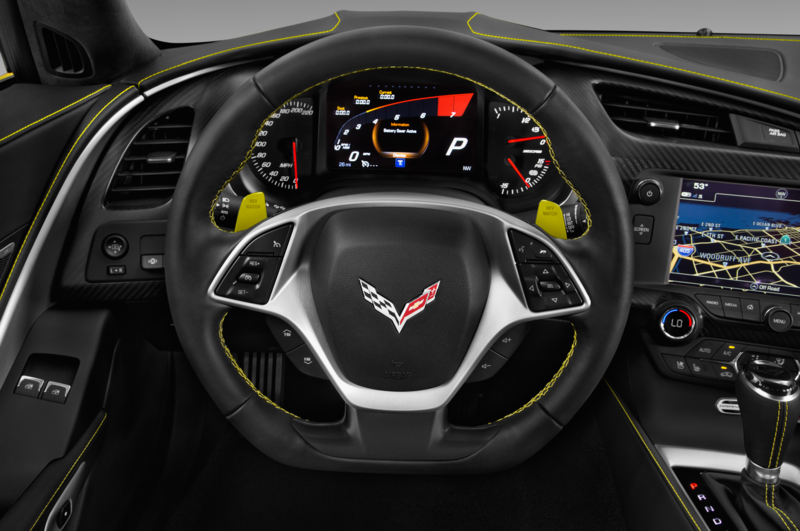 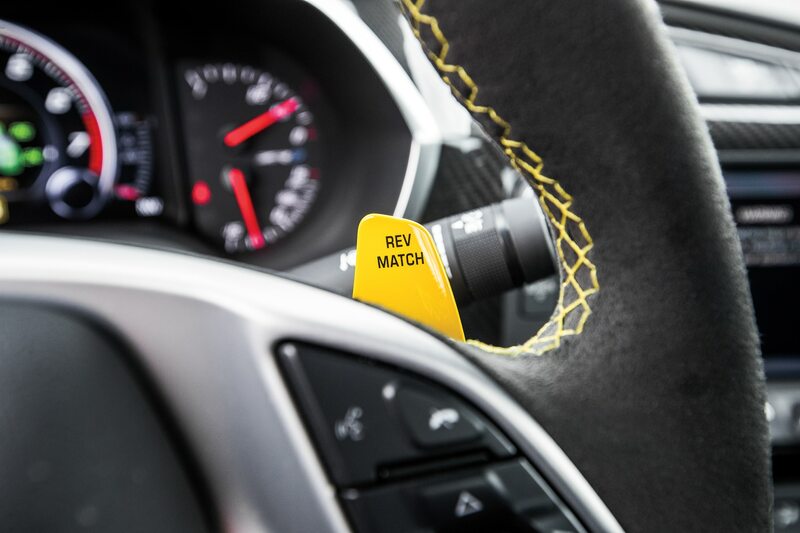 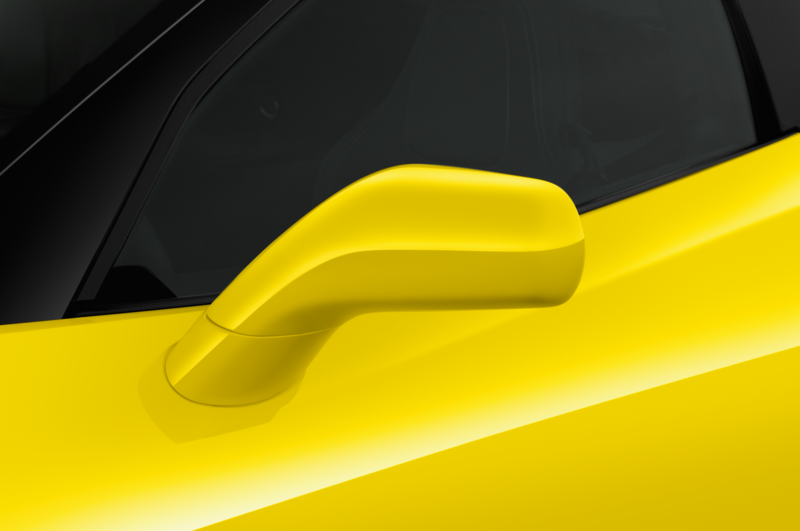 Red and yellow cars with optional matching interior stitching and the manual transmission also get color-synchronized rev-match paddles. 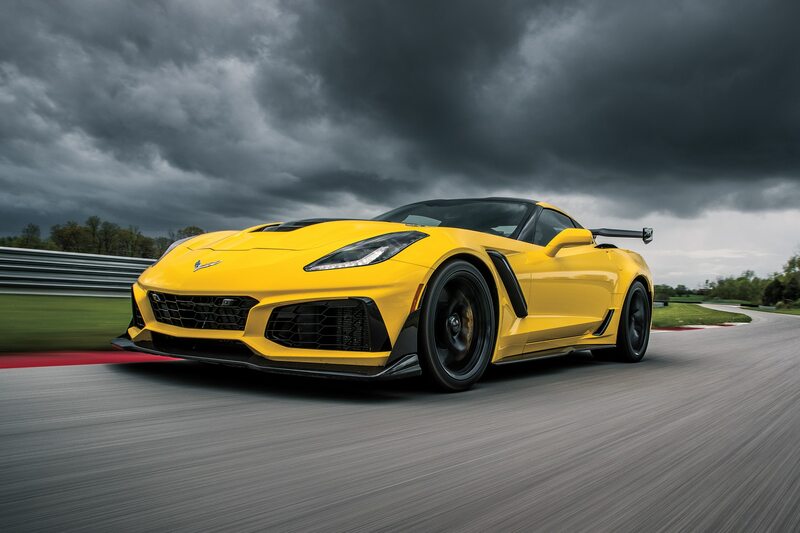 Chevrolet says the ZR1 (with the $1,725 eight-speed automatic transmission) runs 0-60 mph in 2.85 seconds and from 0 to 100 mph in just 6.0 seconds. 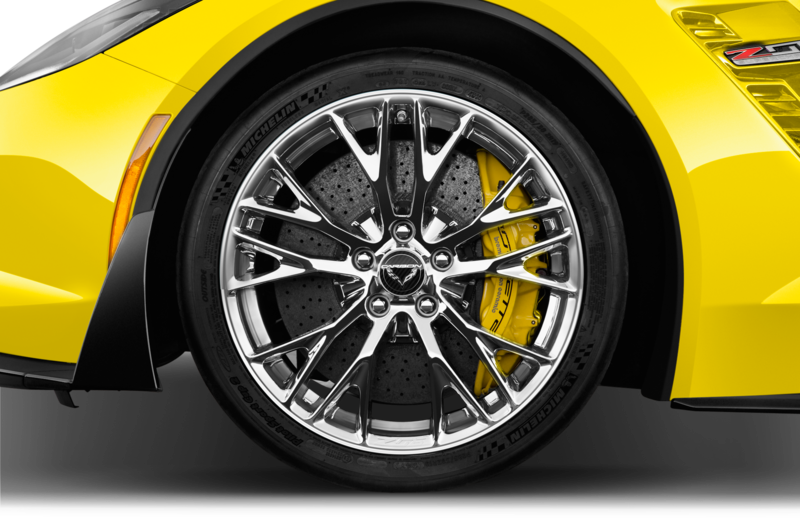 Launching the car from a standstill is not easy; you or the traction control will work overtime to keep wheelspin at bay all the way to 60, which doesn’t do much to help the time. 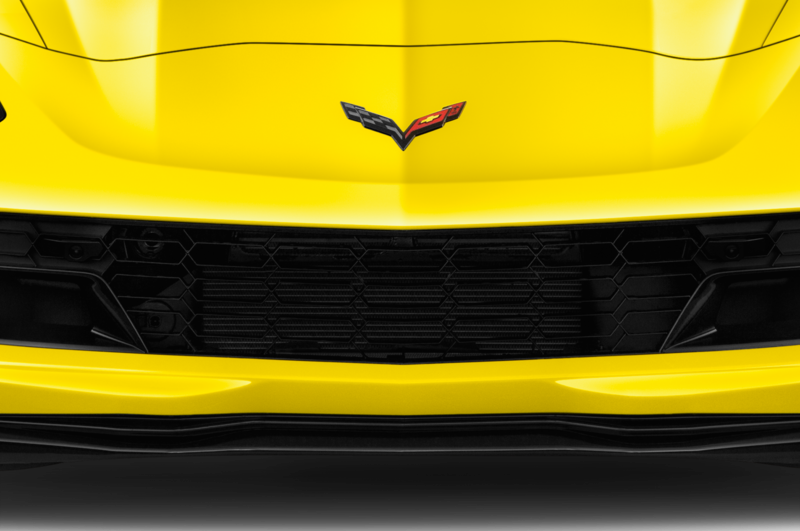 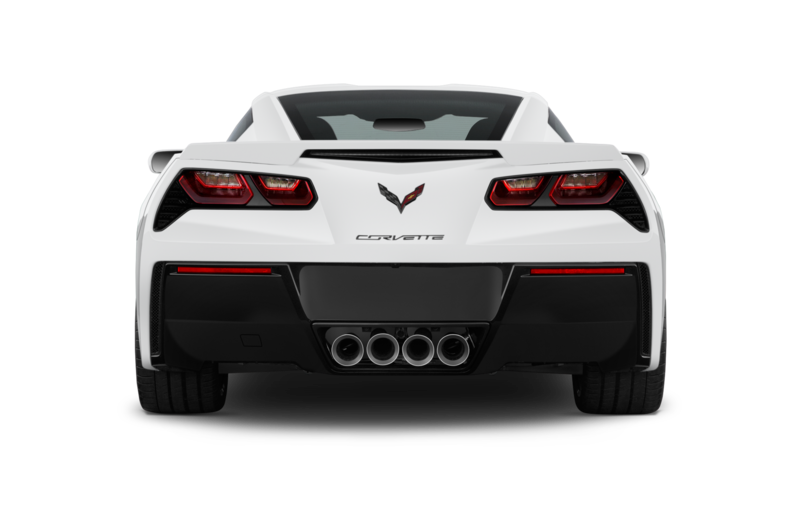 In other matters, the car has a half-inch-wider front rim size compared to the Z06, which helps the front end work better when combined with the 60 percent increase in overall downforce. Michelin Pilot Sport Cup 2 rubber is on duty, with 285/30-R19s up front and 335/25-R20s in the rear. 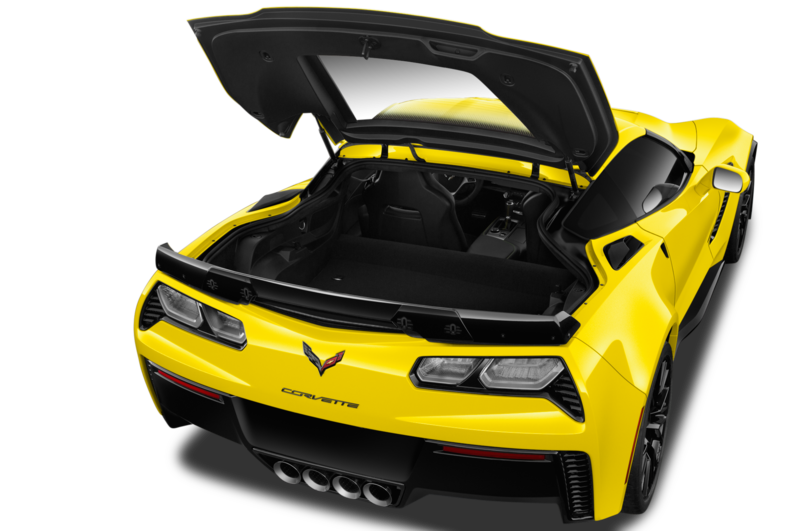 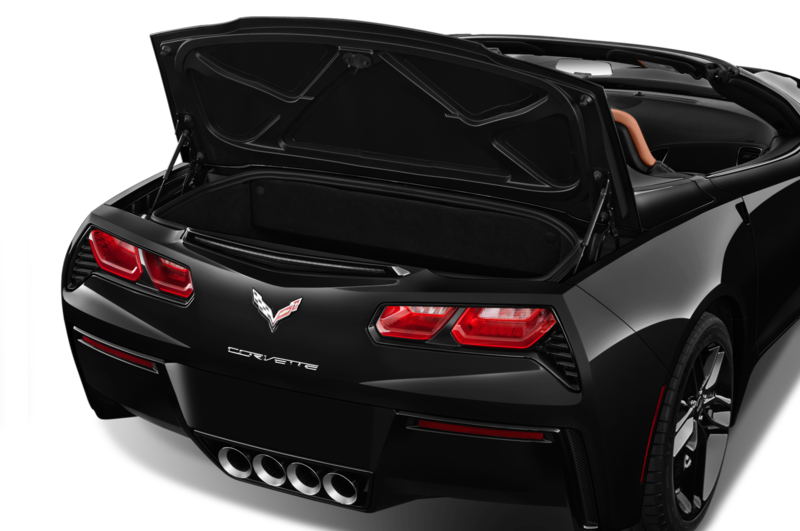 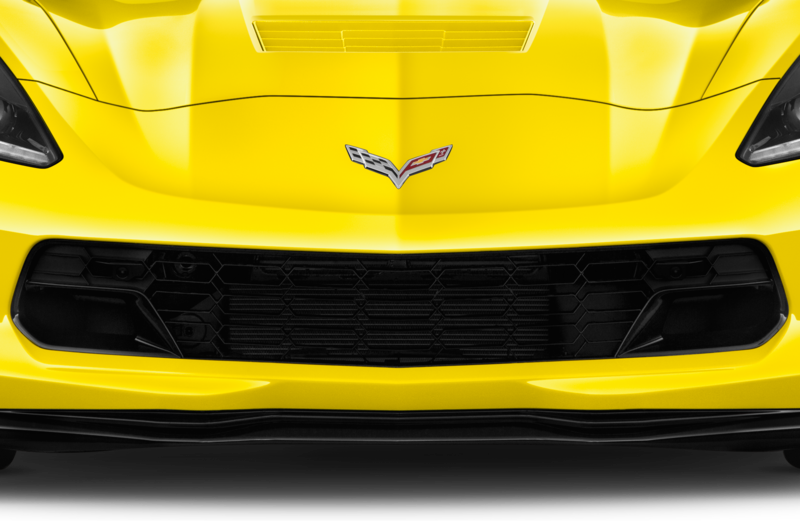 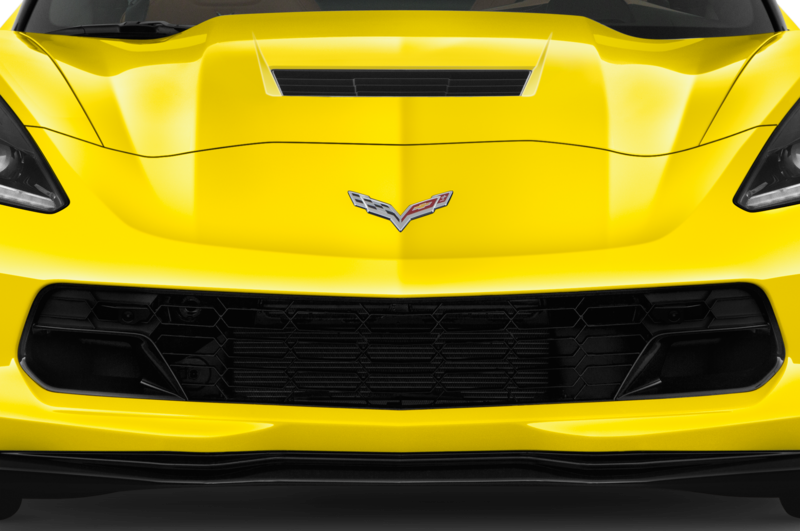 The downforce improvement (the car produces a total of 950 pounds at top speed with the $2,995 ZTK/high-wing option) also comes with no increase in drag versus the Z06, Chevy says—a nice trick if you can do it. 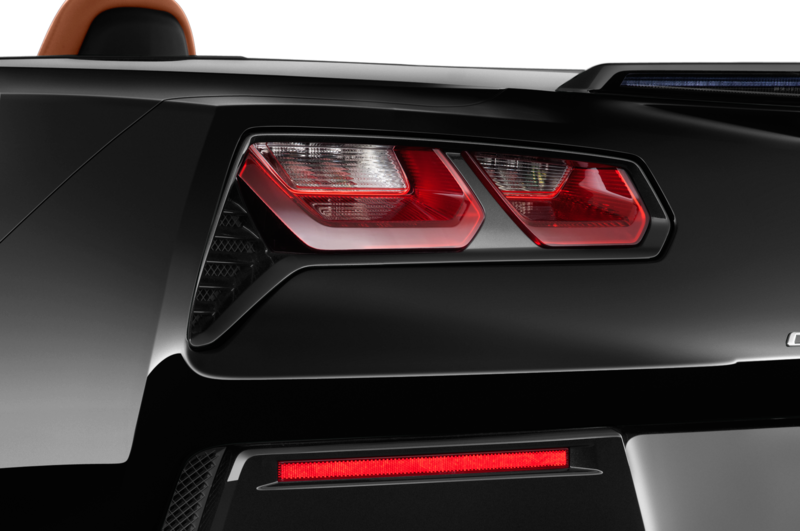 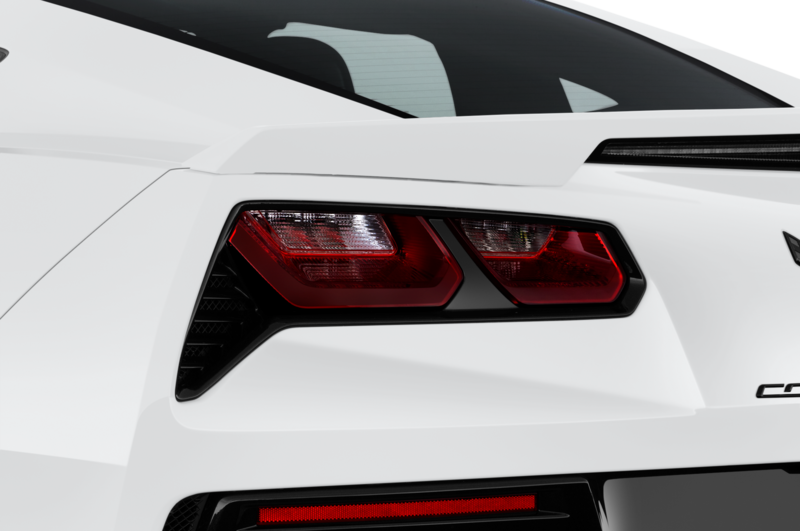 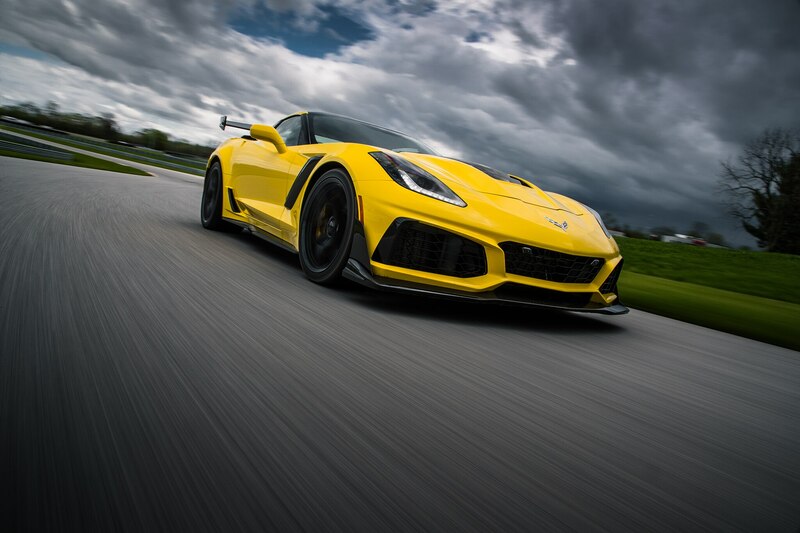 According to Corvette executive chief engineer Tadge Juechter, in terms of performance goals for the new car, “The ZR1 has always meant top performance, no limits. 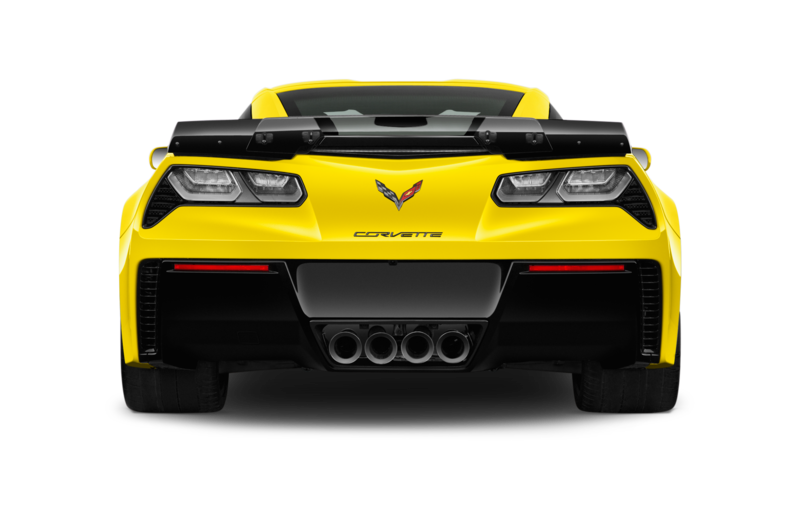 When we ask the customer, ‘How much power do you want?’ they say, ‘How much can you give me?’ There were no hard requirements like a power number. 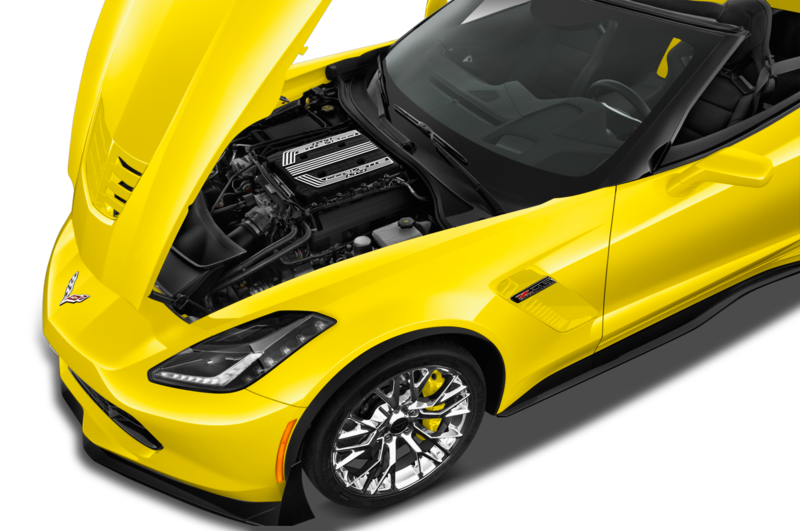 We tried to extend all aspects as much as possible.” To his point about the definition of the ZR1, the model’s history was front and center in several of the engineering presentations held during the media launch. 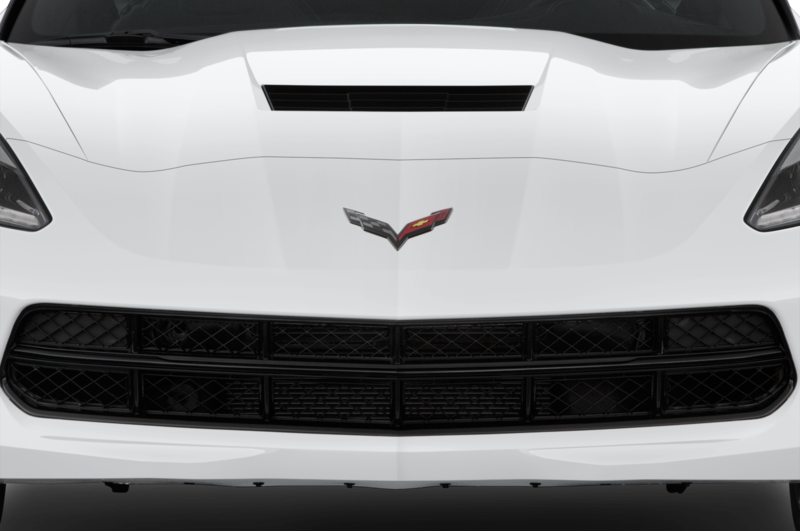 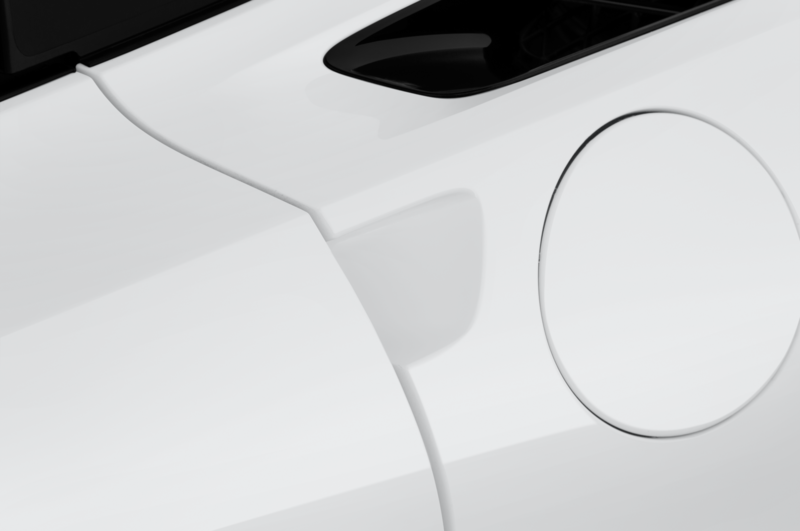 “ZR-1” was originally a GM Regular Production Option code identifying a special performance package from 1970 to ’72; it was not originally recognized as a car-model identifier. 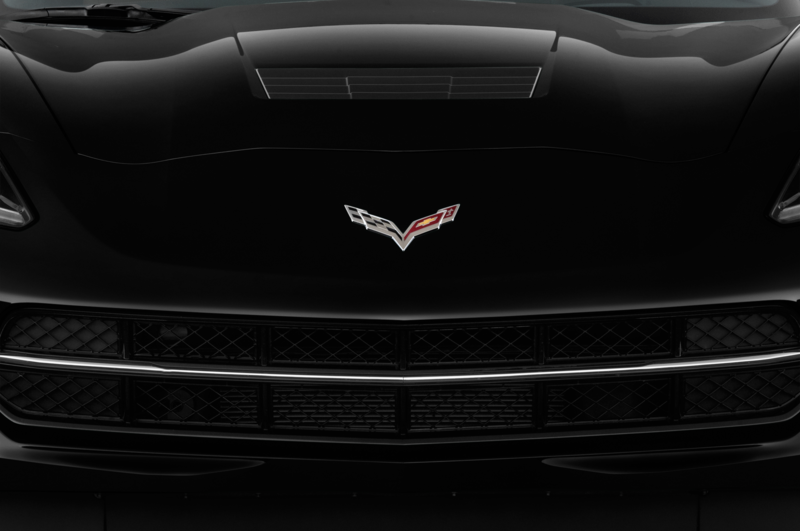 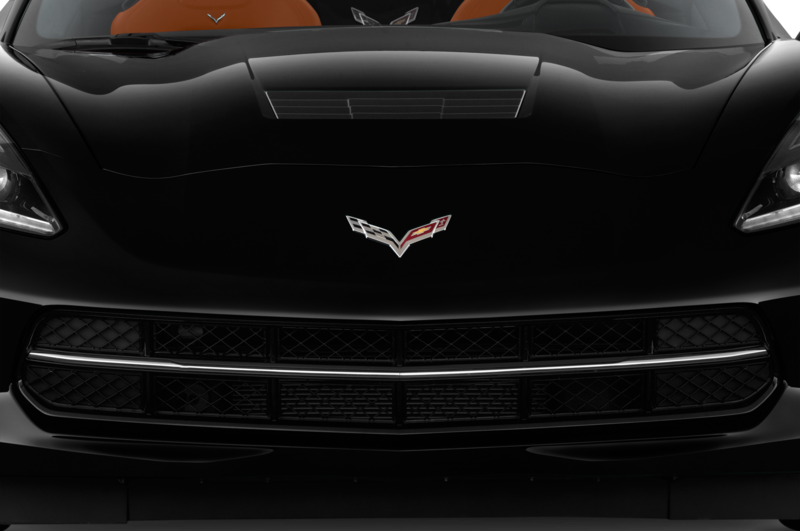 Meanwhile, of course, many people refer to the 1990 model as the first Corvette ZR-1—The King of the Hill. 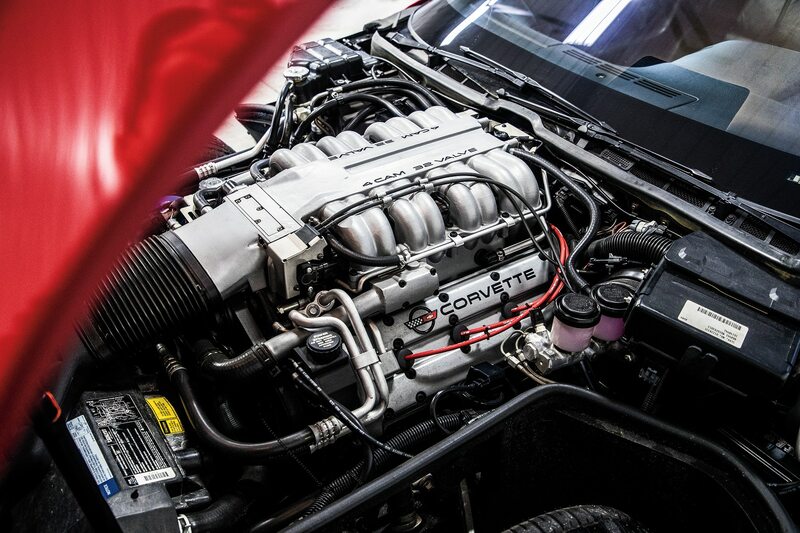 Initial road tests of the latter created quite a stir almost 30 years ago, with performance far superior to other Corvettes from the late ’70s and early ’80s given that many of them were strangled by emissions regulations. 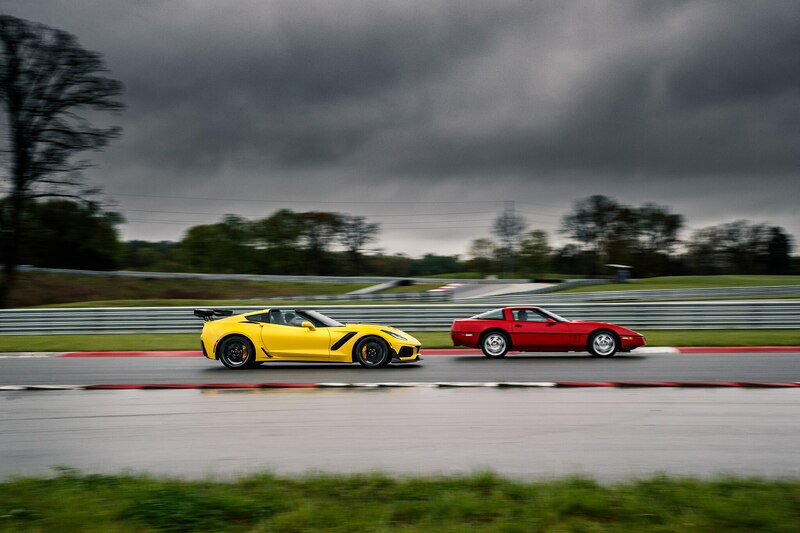 Magazines even pitted the 1990 ZR-1 (375 hp at 6,200 rpm, 370 lb-ft at 4,500 rpm) head-to-head against machines such as the mighty Porsche 911 Turbo—and nobody laughed. 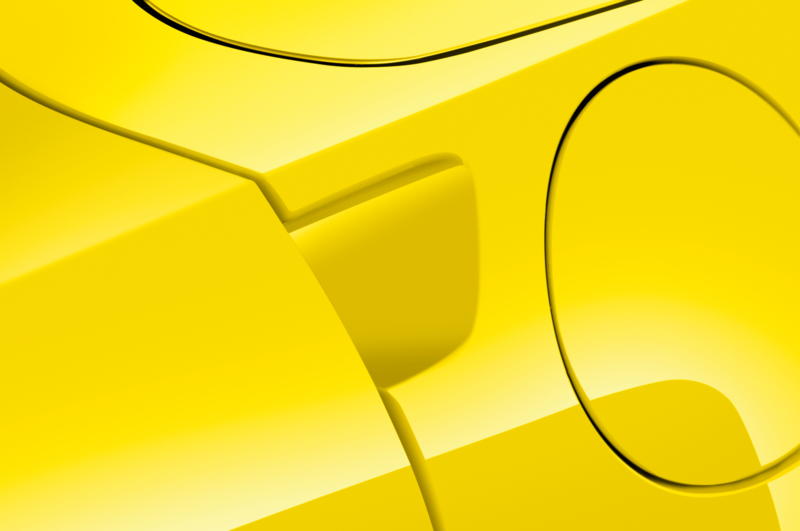 In 1991 the 911 Turbo’s base price was around $100,000. 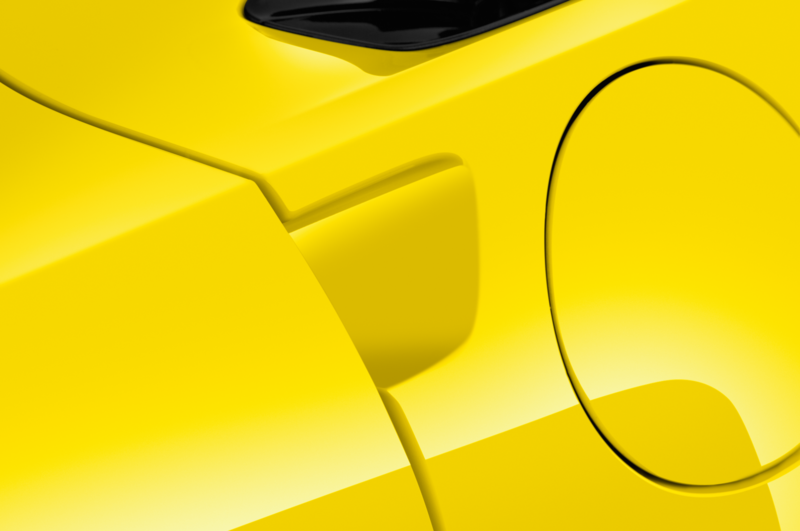 (There was no 1990 model-year Turbo.) 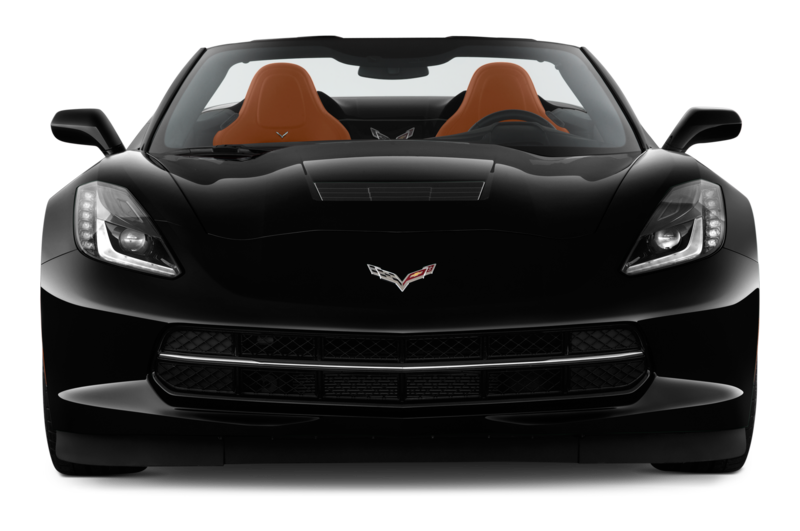 The ZR-1 was a comparative bargain at $58,994, with the ZR-1 package accounting for $27,015 of that. 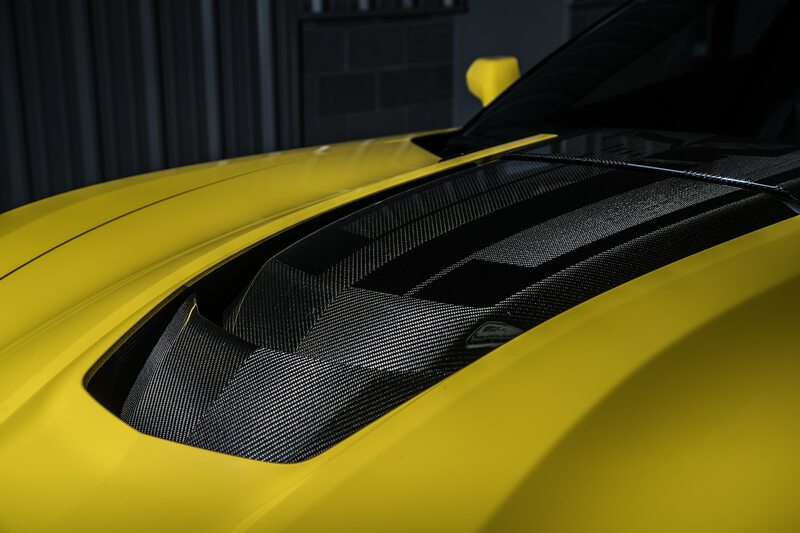 People were happy to pay for the new capability, ripping from 0 to 60 mph in less than 5 seconds, which was supercar performance for the era. 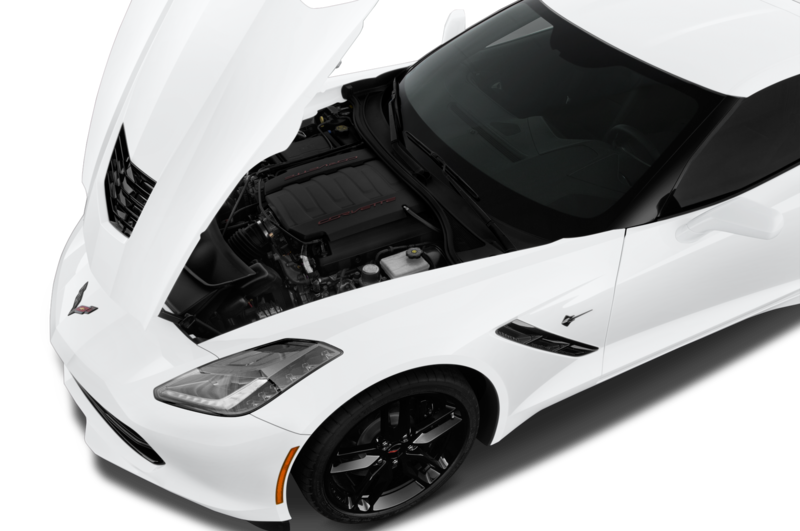 Credit was given to GM for working with the Mercury Marine Company and Lotus Engineering to help expand the technology envelope, creating the double-overhead-cam LT5 engine and a legend in the process. 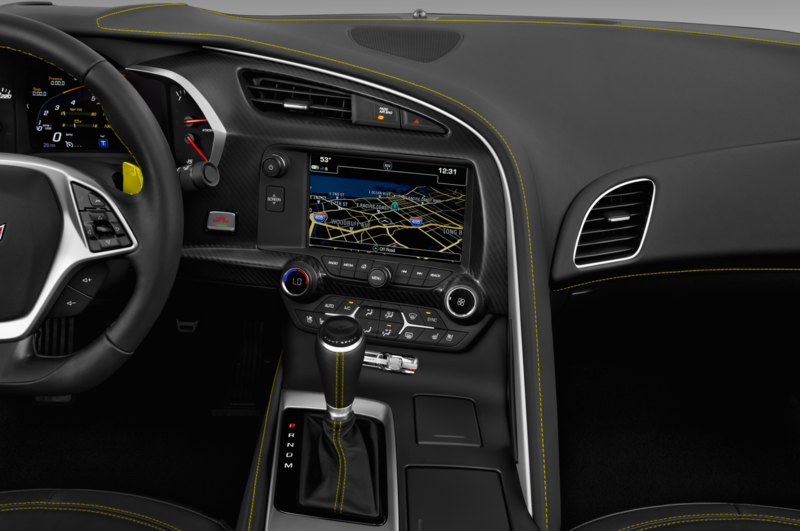 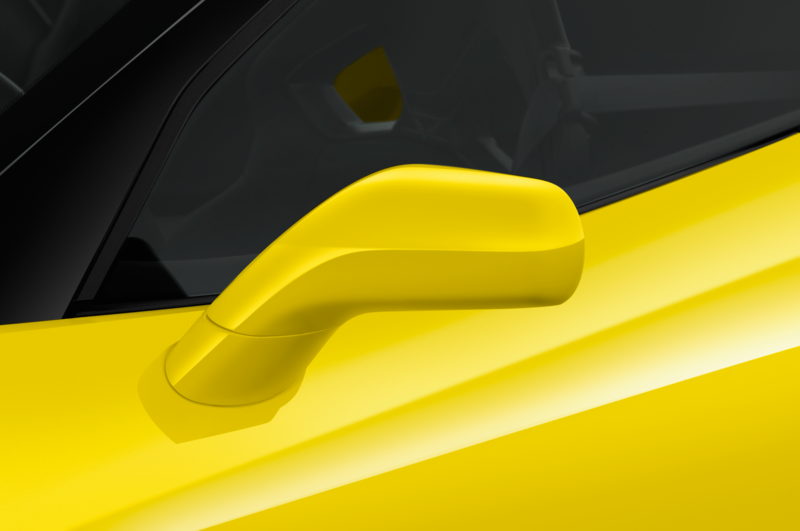 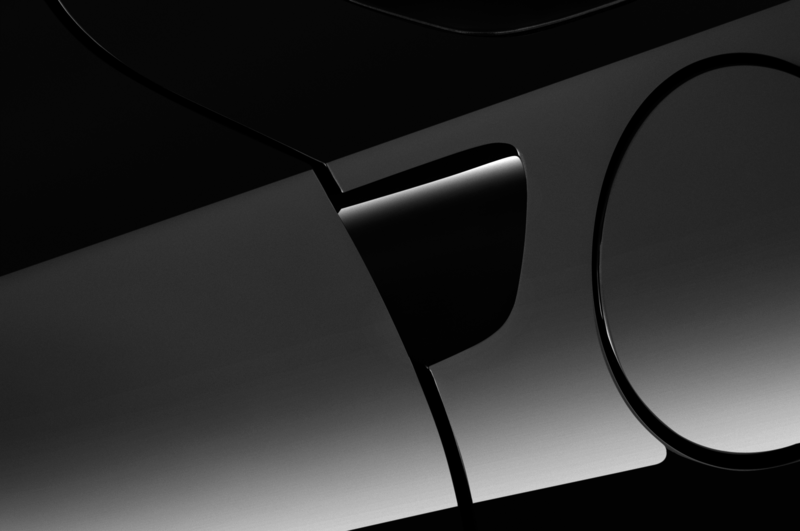 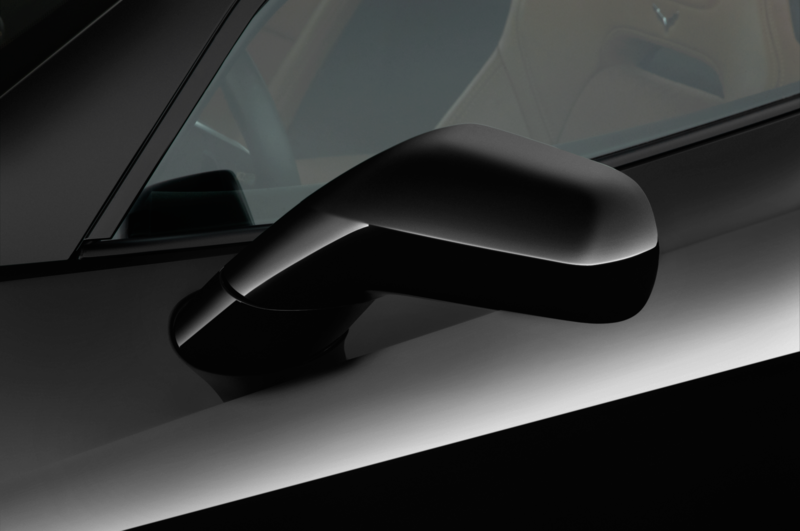 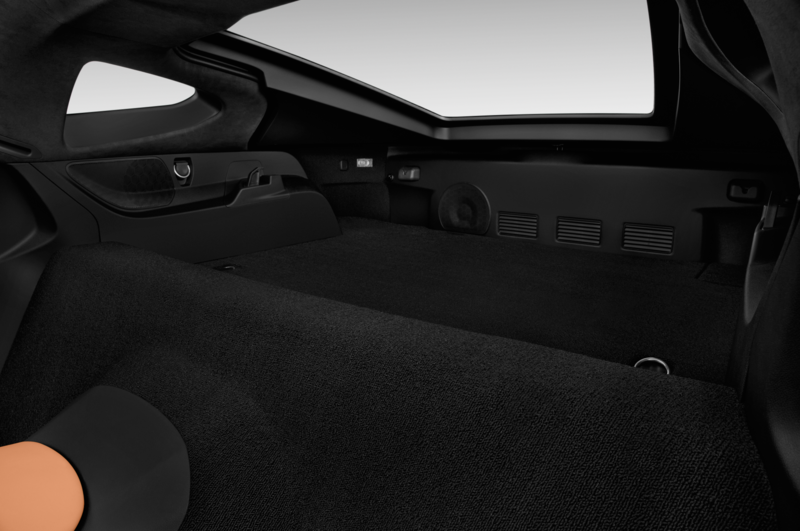 Lotus also helped with the car’s braking, steering, and adjustable ride control. 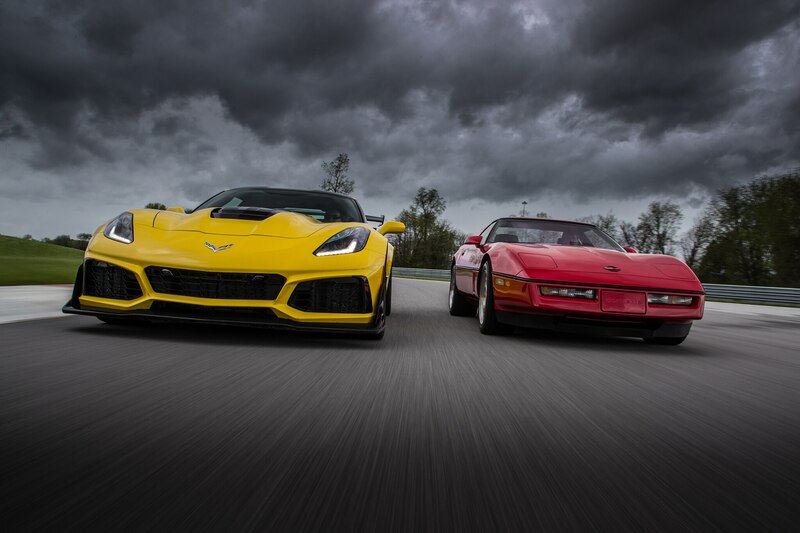 In 1990 I raced for the Morrison Motorsports team, the same outfit that set world speed endurance records with a stock 1990 ZR-1 and also campaigned two mostly stock ZR-1s in the 1991 Rolex 24 at Daytona and 12 Hours of Sebring. 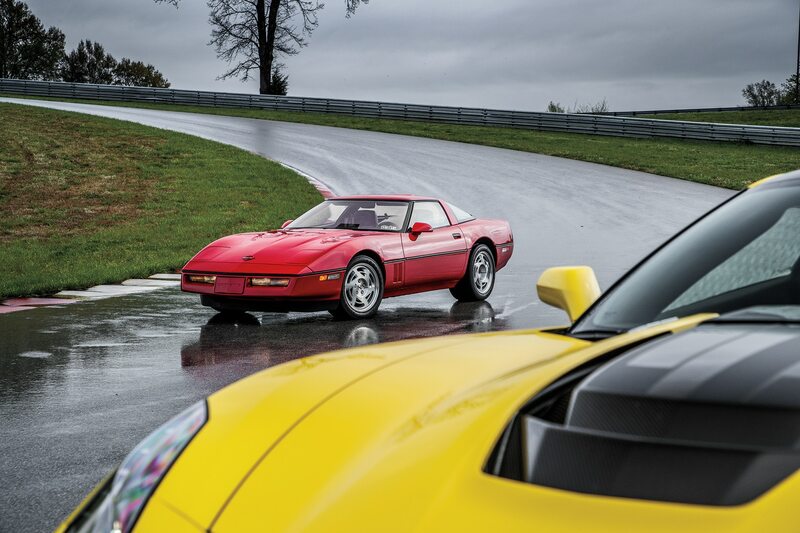 I drove one of those ZR-1s in both of those races, a car that is now in the Smithsonian collection in Washington, D.C. I also drove a ZR-1 street car back in 1990, and vivid memories are the noise, brutal acceleration, grip level, and stability. 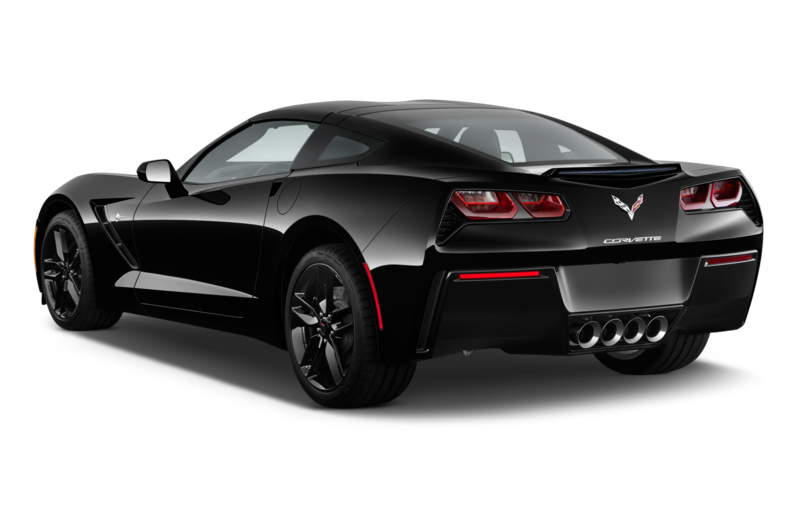 The whole package was astonishing for a production car, and the experience of driving that “red rocket” all those years ago is forever welded into my brain. 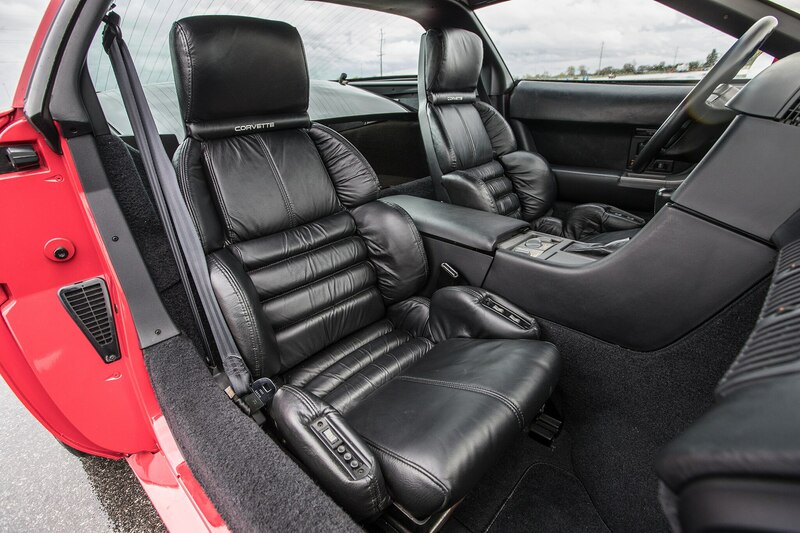 Now in 2018 I find myself sitting in another red 1990 ZR-1 at the Motorsports Park racetrack in Bowling Green, Kentucky. 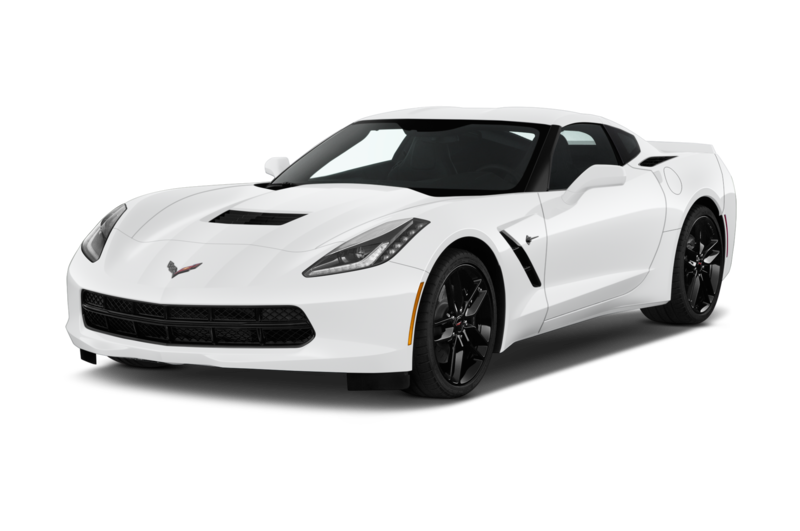 This pristine example, with just more than 6,000 miles on the odometer, was lent to us by the National Corvette Museum, which owns the track. 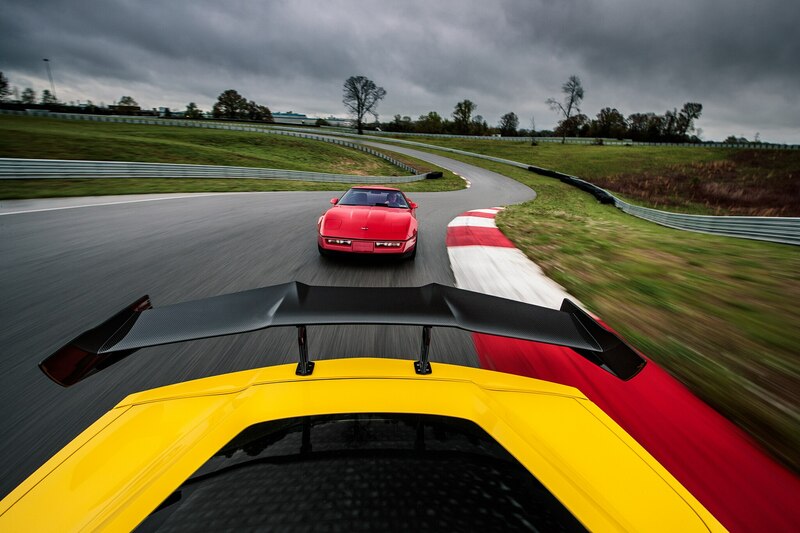 Leaving pit lane in the old beast, I mused how much fun a 10/10ths hot lap might be. 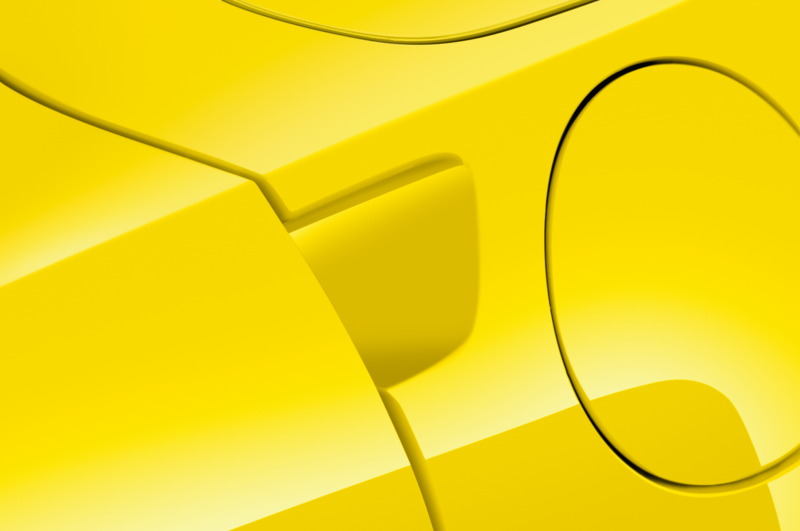 But then I imagined the look on museum curator Derek Moore’s face if his baby came back with chunks of rubber missing. 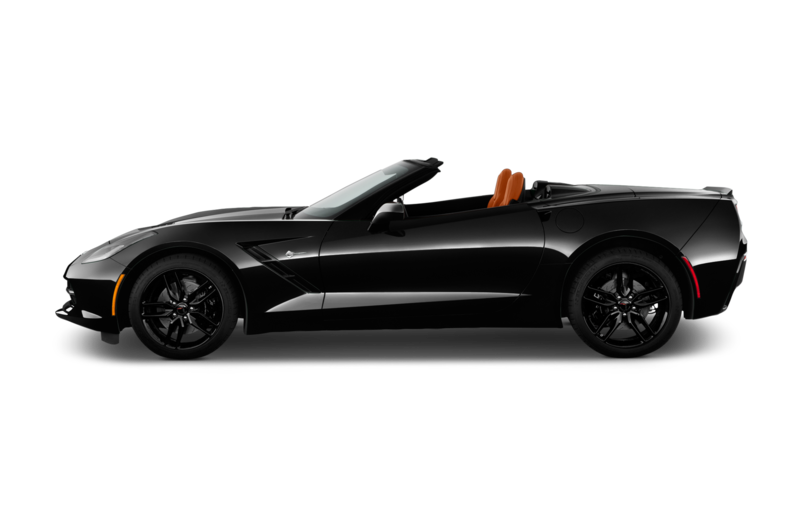 So I took it easy, and the car ran flawlessly while little bursts of acceleration sparked memories of the first time I felt the LT5’s smooth, urgent power. 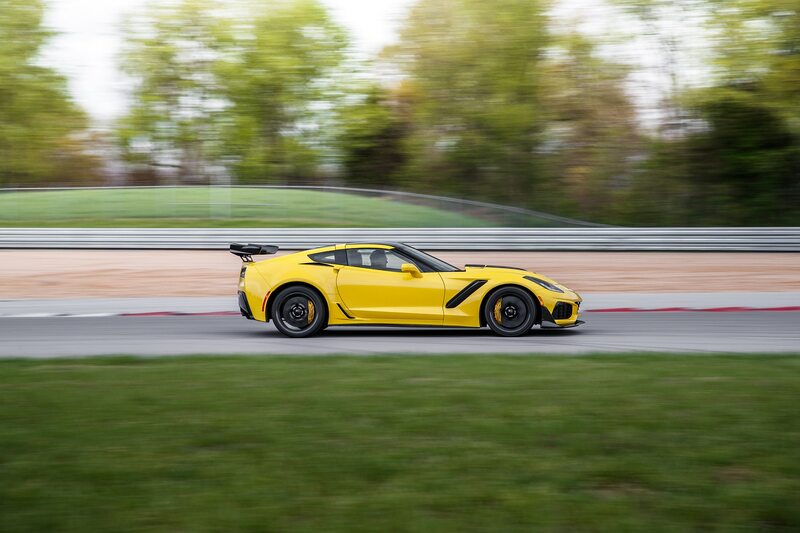 Then, once again, it was time to drive the 2019 ZR1 on a racetrack. 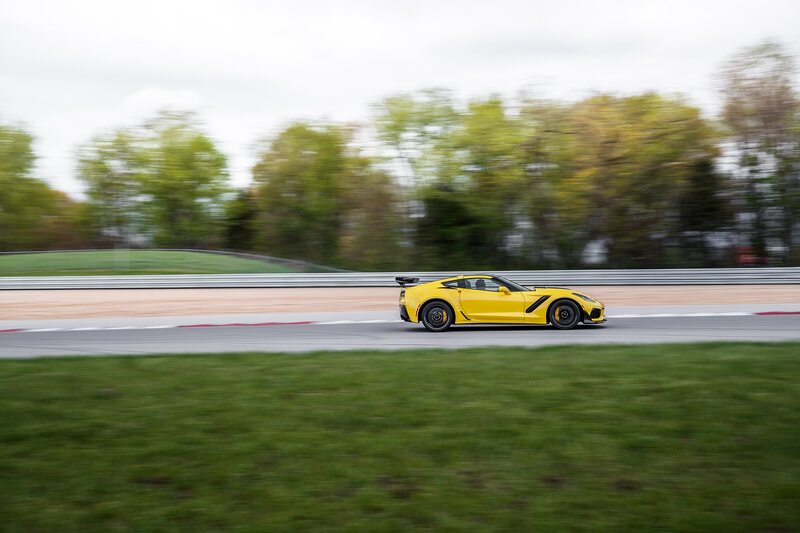 At Road Atlanta three days earlier, the temperature reached almost 90 degrees. 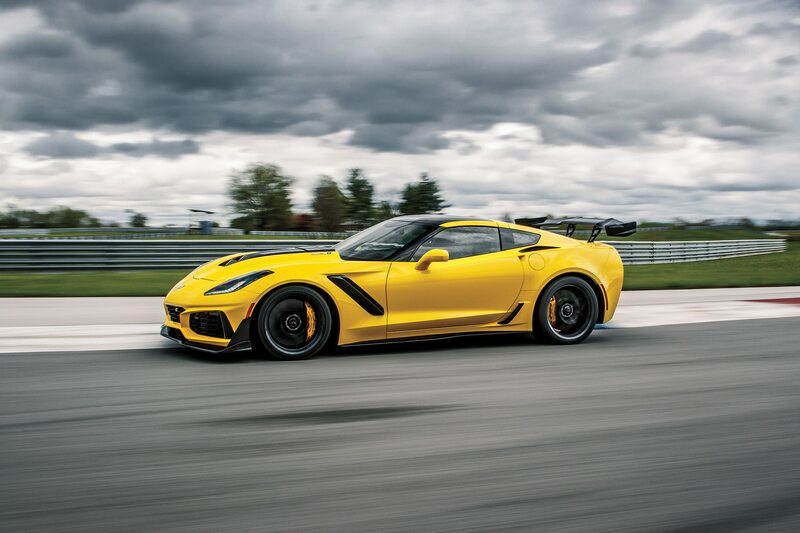 Although the car went ridiculously fast, lap records weren’t in the cards thanks to the heat sliming up the tarmac. 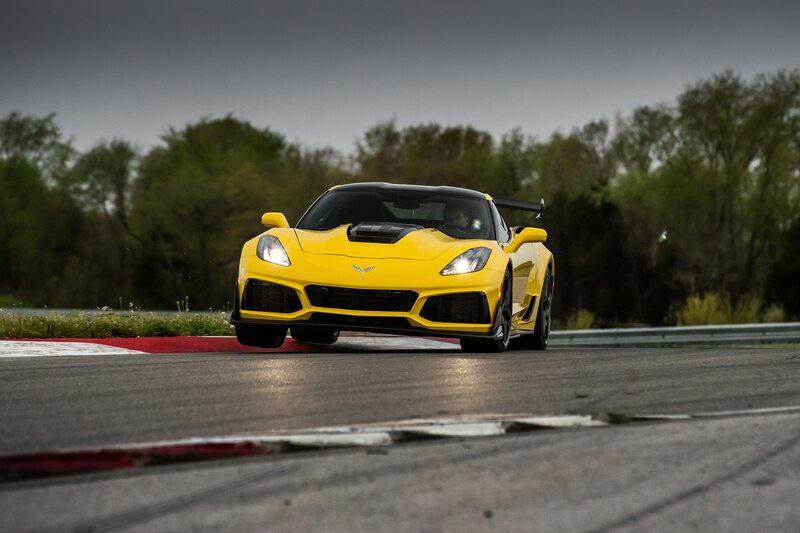 But the temperature at Motorsports Park was now just 60 degrees. 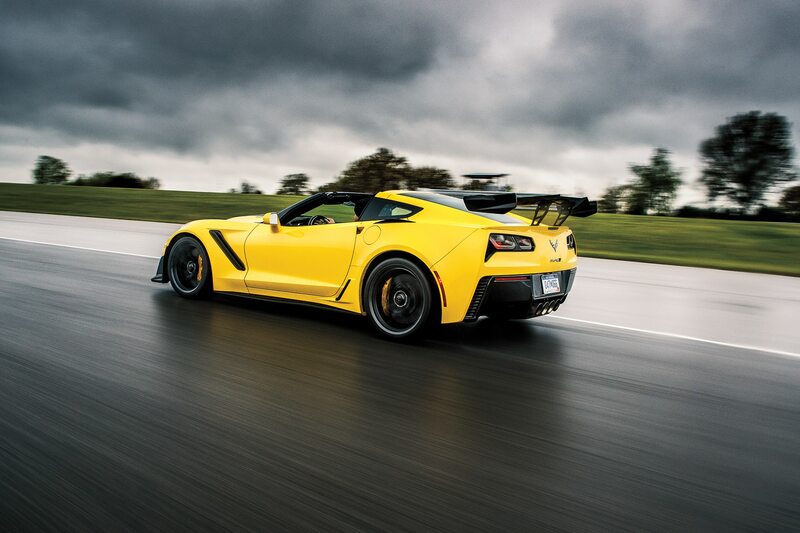 The ZR1 did not disappoint. 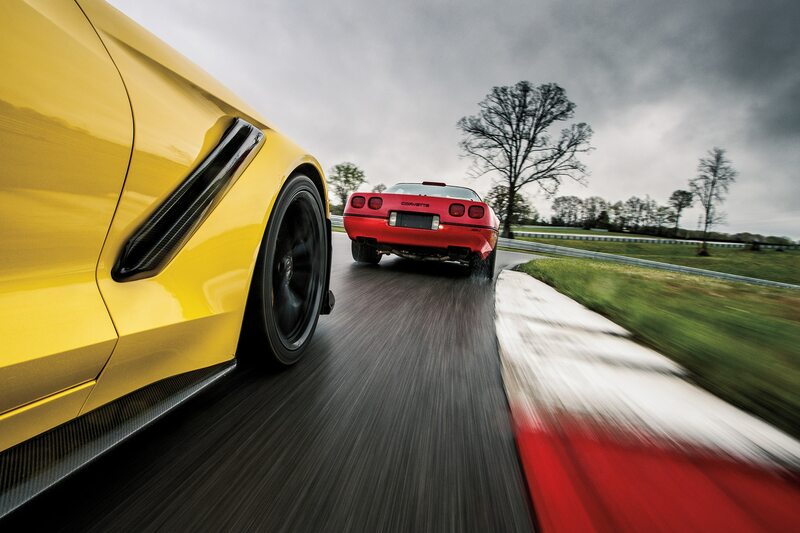 Coming into Turn 1, the car was beyond 150 mph, still accelerating hard as I entered the brake zone. 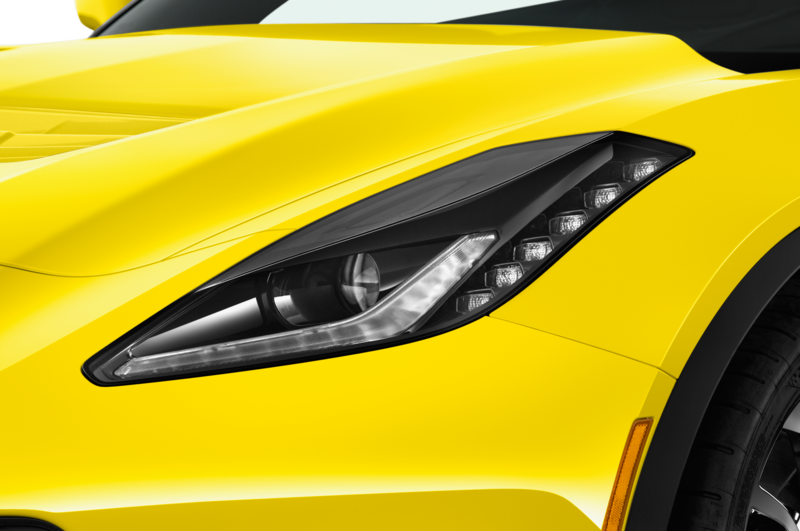 I pushed the stop pedal hard, and the ZR1 dutifully spit my eyeballs out of my head. 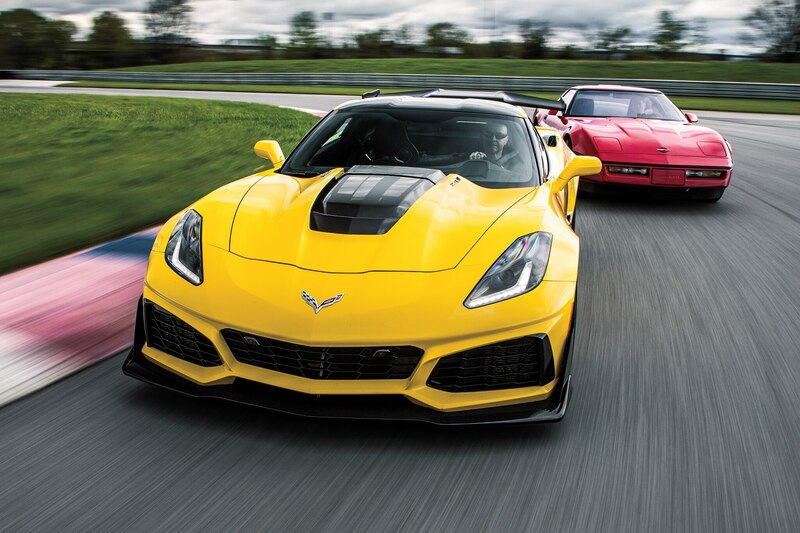 I recently tested a very capable GT4 race car and was impressed by its brakes; the ZR1 was equally impressive. 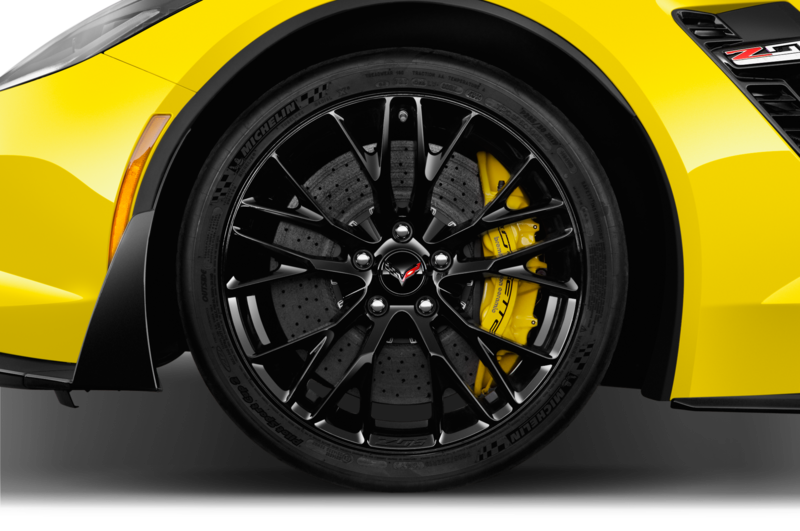 The tires, aerodynamic downforce, and all-new Brembo carbon-ceramic stoppers combined for more than 1.7 g’s worth of deceleration (serious race car good). I made a mental note not to use the brakes this hard with a cement truck behind me out on public roads. 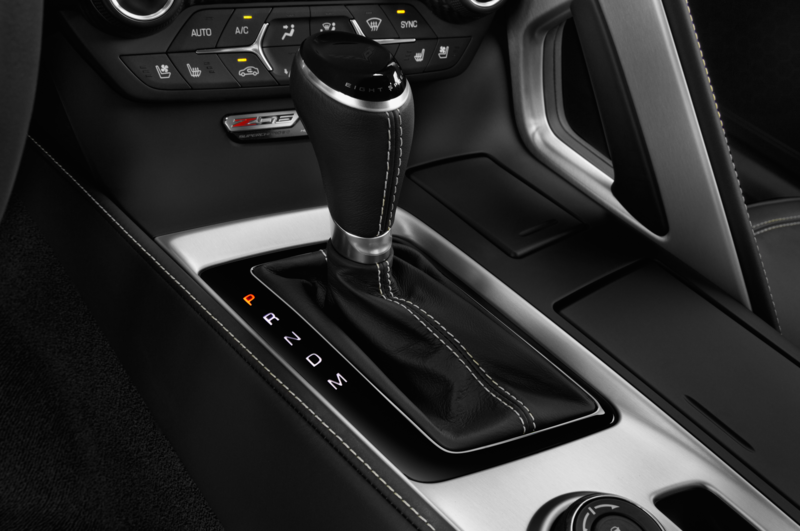 Over the course of several days, I tried both the automatic and seven-speed manual versions of the car; if I were to buy the ZR1 for track days, I would without question buy the automatic. 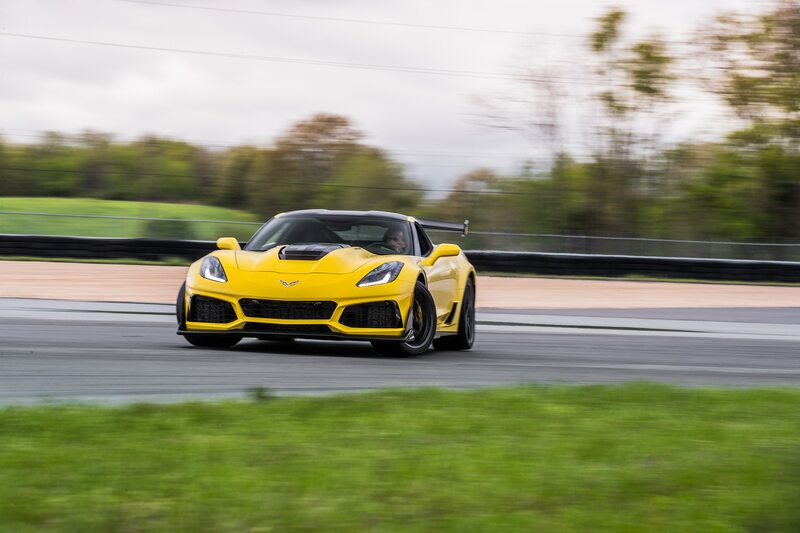 Not only because it shifts quicker but also because I only weigh about 155 pounds; despite using the seat belt locking mechanism, I found myself moving around too much in the seat while on maximum attack due to the forces the ZR1 exerted all the way around Motorsports Park’s 24-turn, 3.2-mile track. 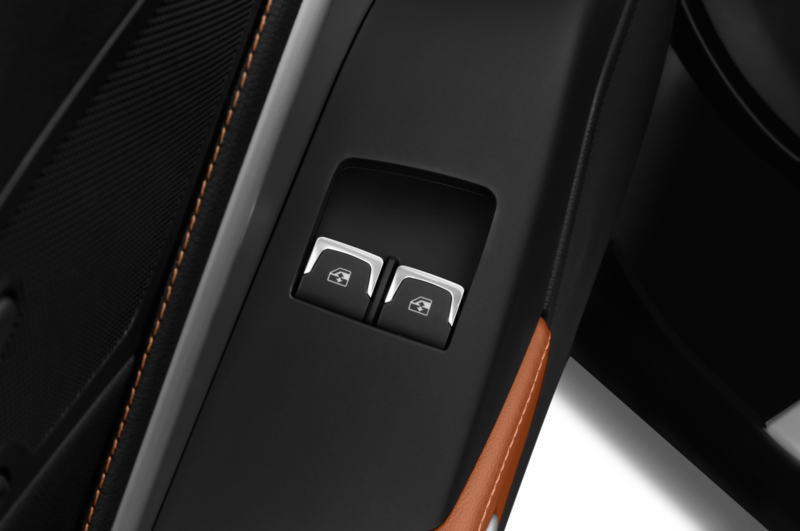 In the automatic I can keep both hands on the wheel for a little extra support. 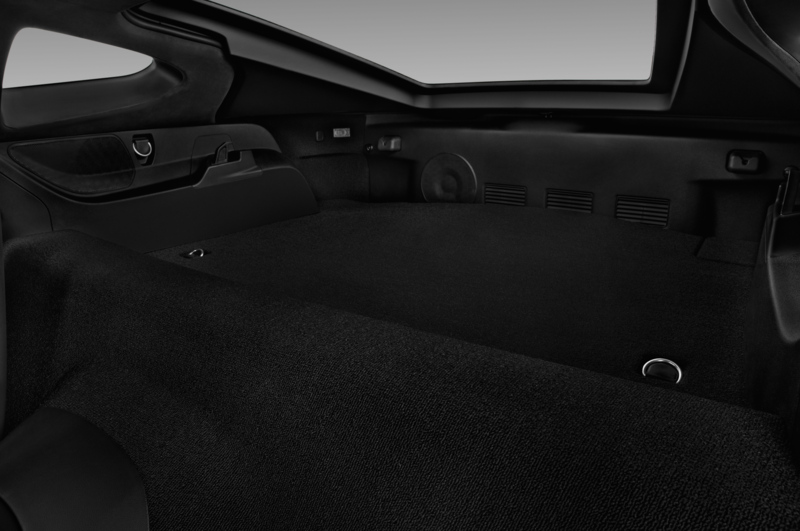 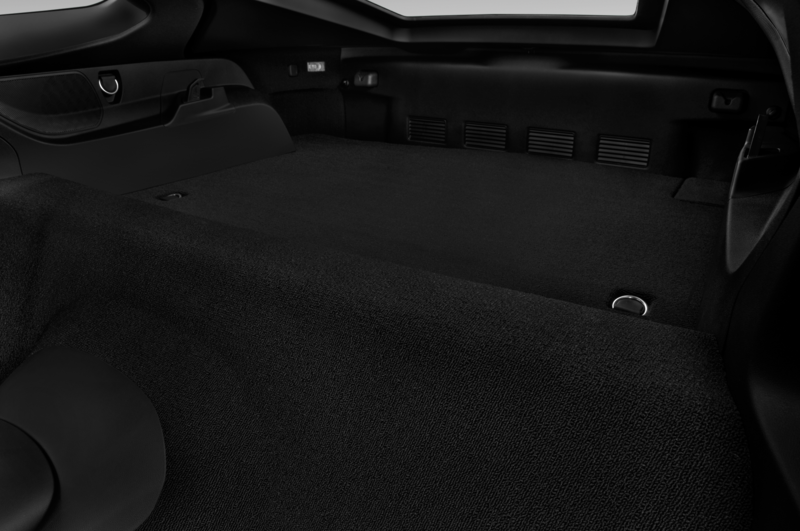 It’s worth noting I had no issues at all with the seat holding me solid with normal or spirited street driving. 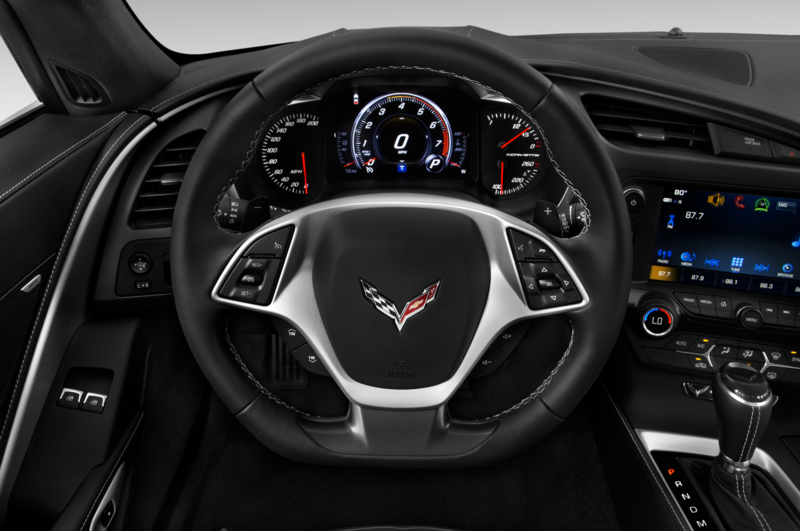 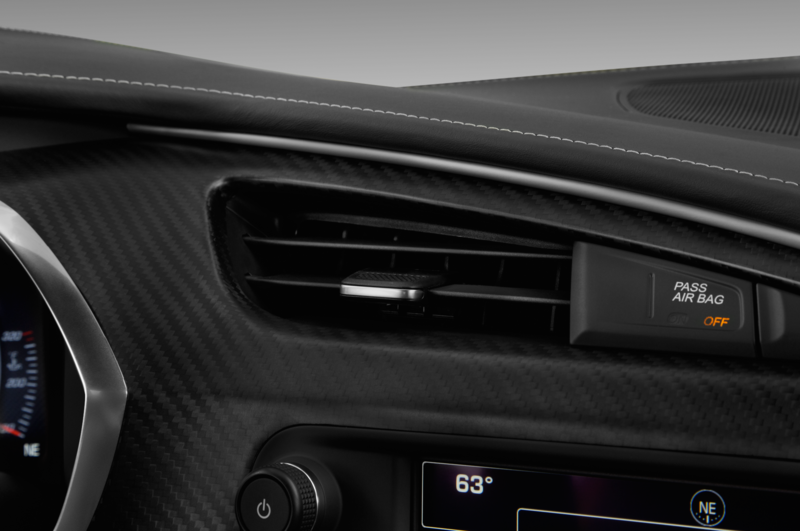 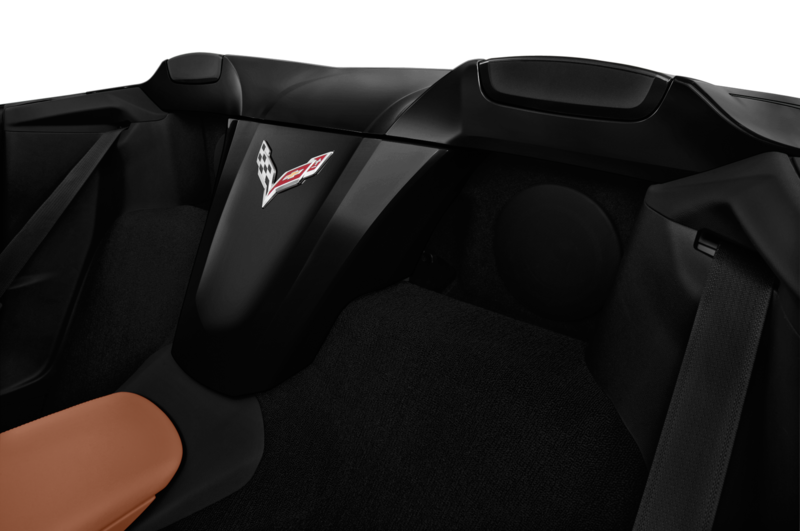 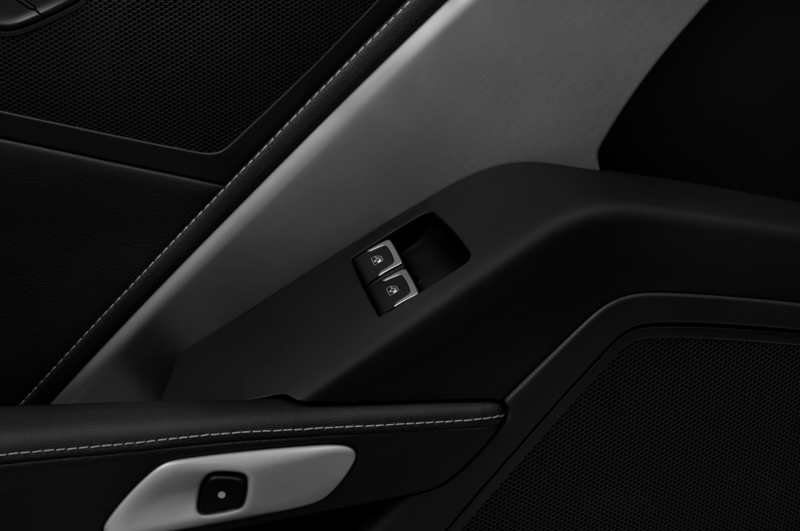 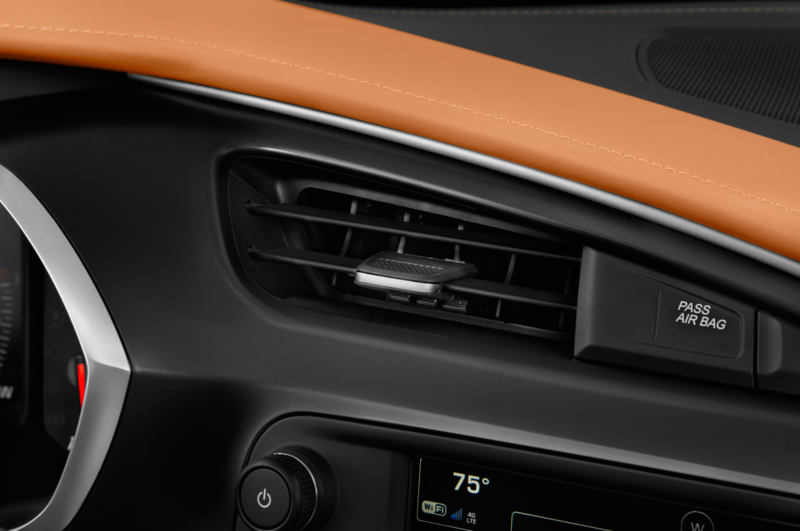 Corvette interiors have taken much criticism for years, but there’s something appealing about the old ZR-1’s KITT-style controls. 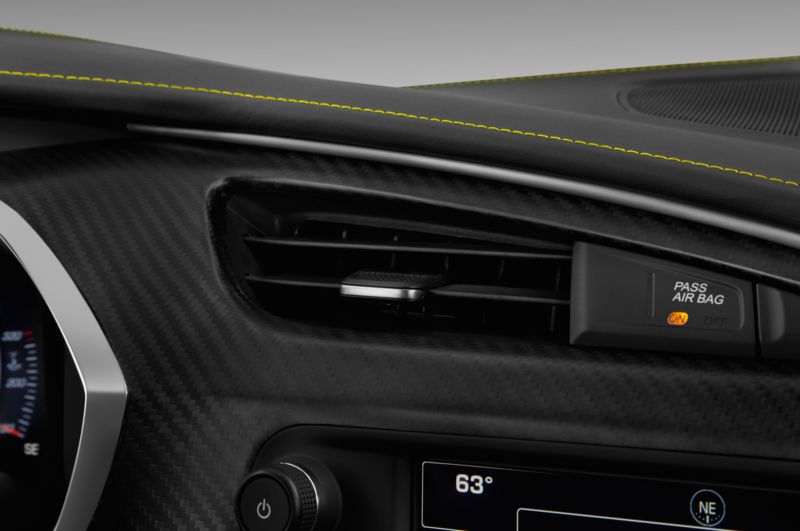 Meanwhile, the car’s E-ticket handling jolted Juechter’s words back to the top of my mind. “The ZR1 technology we’re most proud of is the front underwing and general aero of the car,” he said. 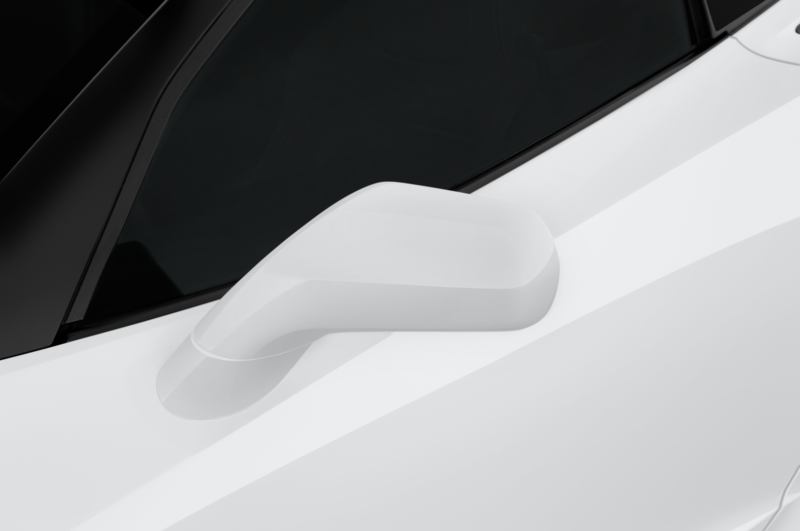 “Also, the trackability. 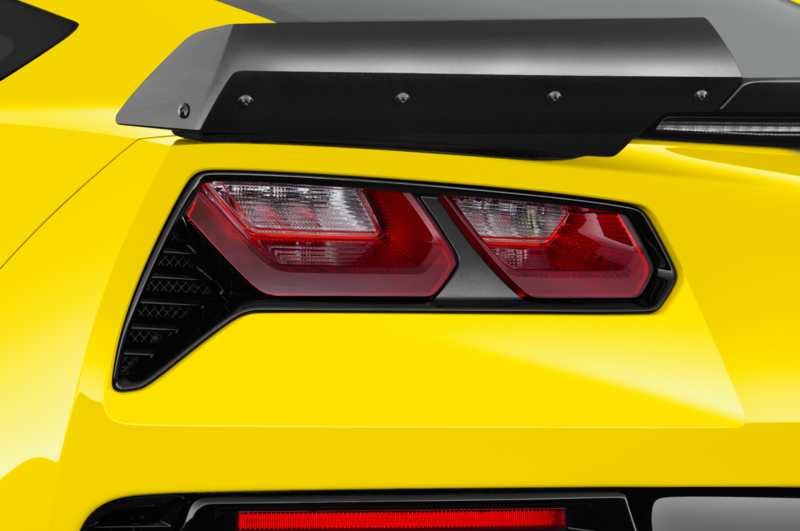 It is very easy to drop the suspension and adjust the rear wing, and off you go.” He also addressed the disappointment some people had with the Z06’s lack of cooling during track use: “The Z06 cooling concerns on-track have been dealt with in the ZR1.” To test his claim, I did a long run of almost 25 minutes at Road Atlanta in the blazing heat. 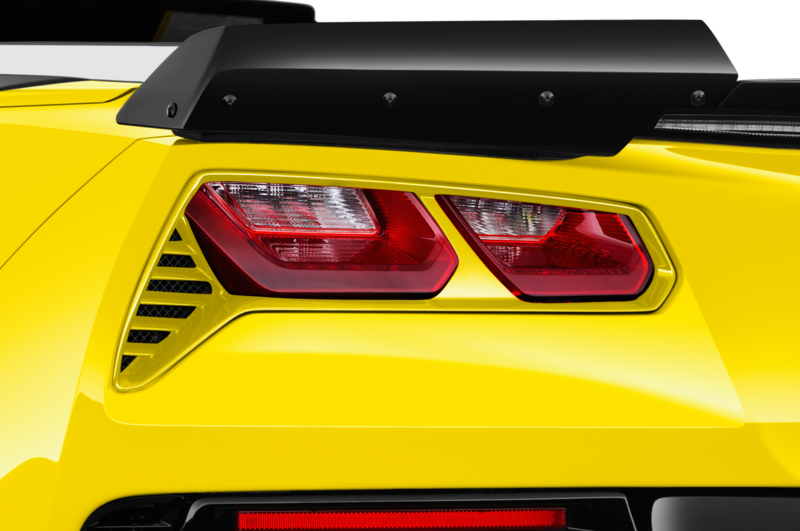 My laps, at fast race pace, were all between 1 minute, 30.4 seconds and 1:31.7. 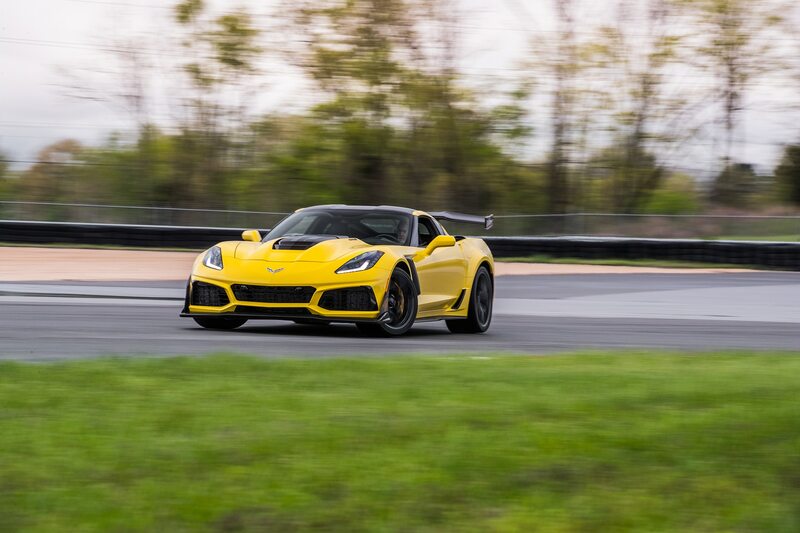 Those were quite quick times for the conditions, and the car exhibited very little drop-off in performance. 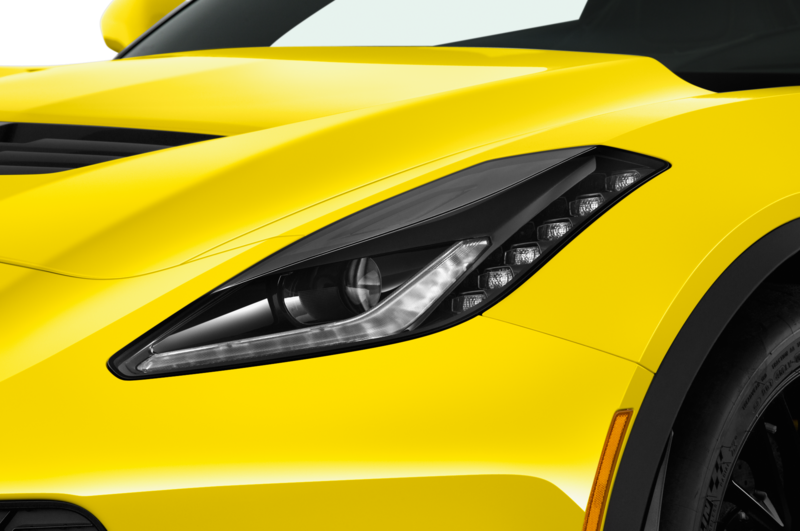 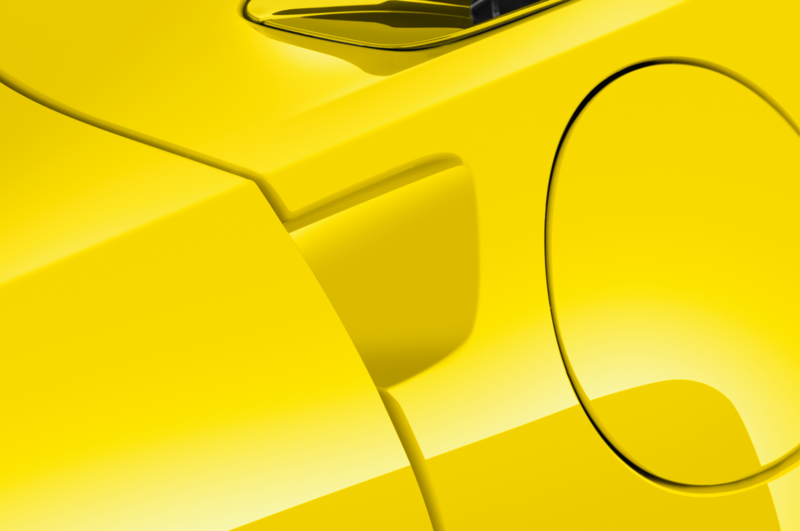 You probably have read hyperbole, and then some, about road cars that sound unreal. In this case, though, I really have never heard a production car sound this much like a race car in both tone and volume. 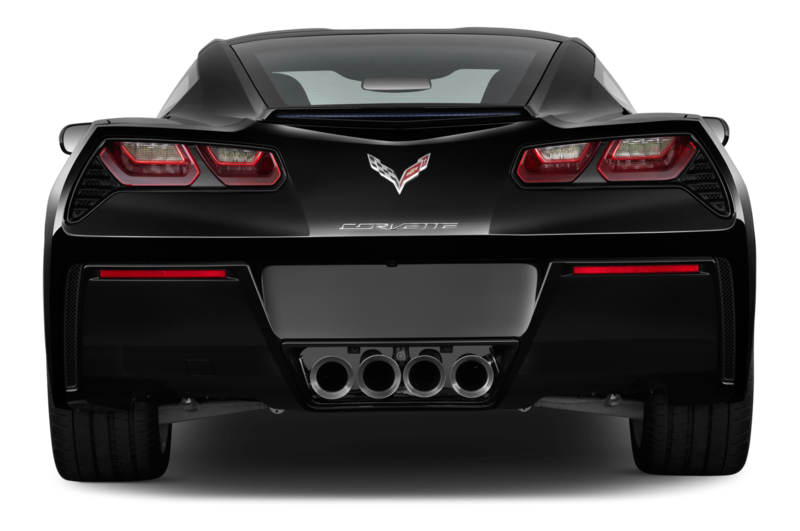 There is some engineering trickery in one of the mufflers, featuring a spring-loaded valve that burps open or stays closed based on driving style. 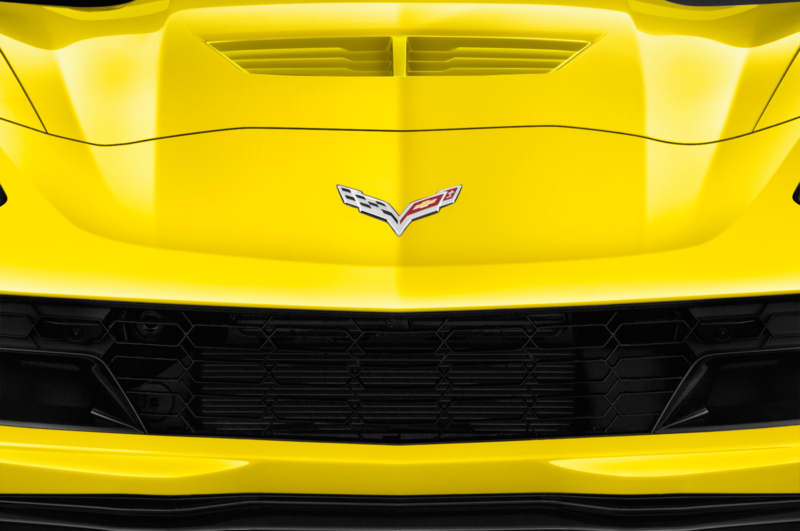 Bring your earplugs, Mildred. 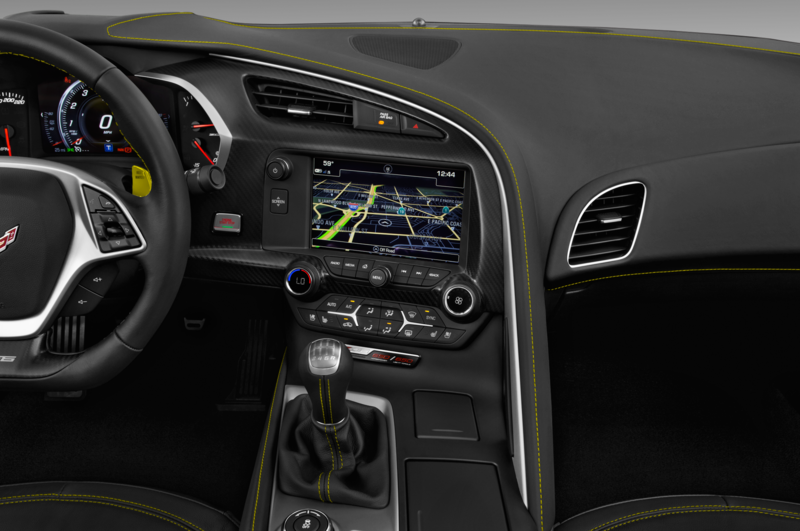 At the end of the day, I finally had time to try to rip off a really fast lap in a car equipped with the automatic. 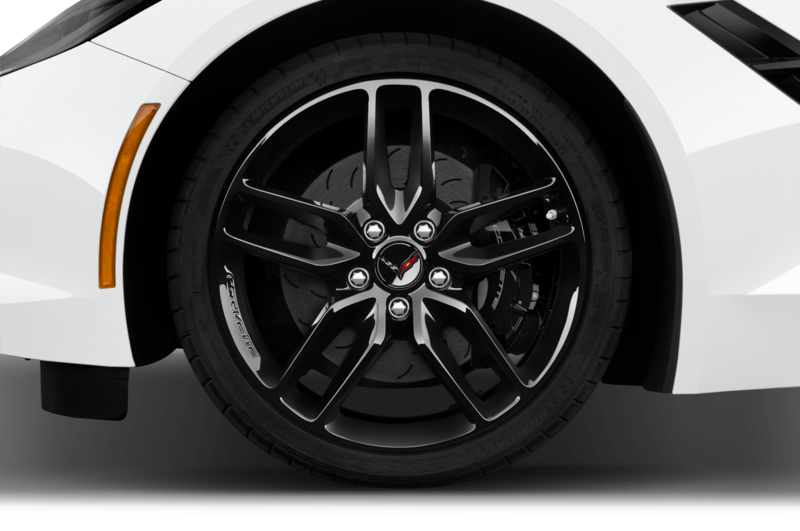 At the limit the ZR1 is very balanced; I could easily control both front and rear tire slide with throttle and steering quickly enough to maintain good momentum, never allowing the slide to reach a point where I lost time. 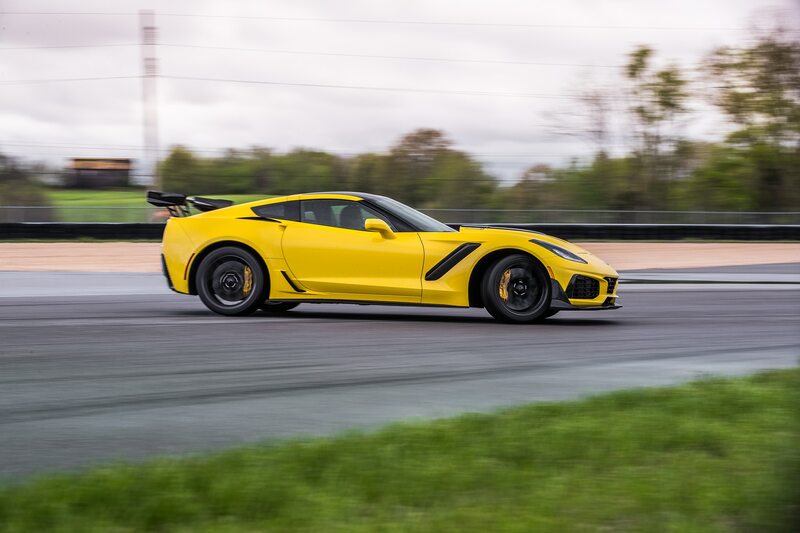 When the lap time crackled through the track radio, it blared a new official lap record for a production car on OE tires for the Motorsports Park racetrack: 2:05.59. 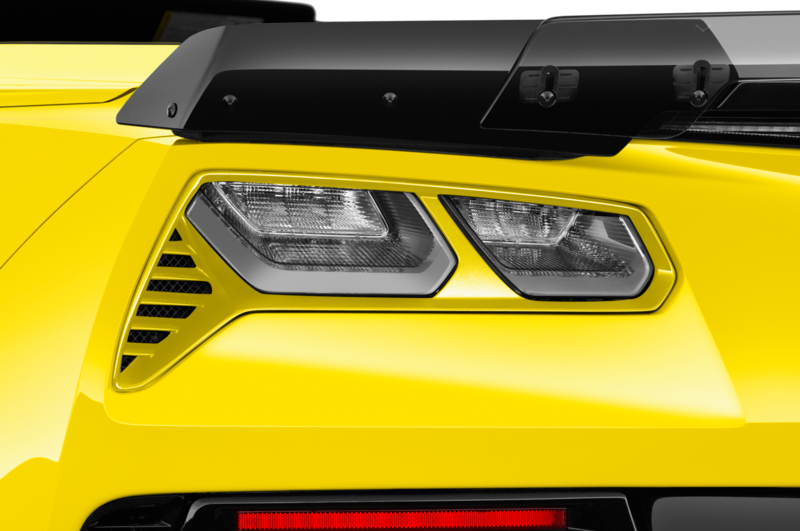 This time is several seconds quicker than any other production car has managed on the circuit since it opened in 2013. 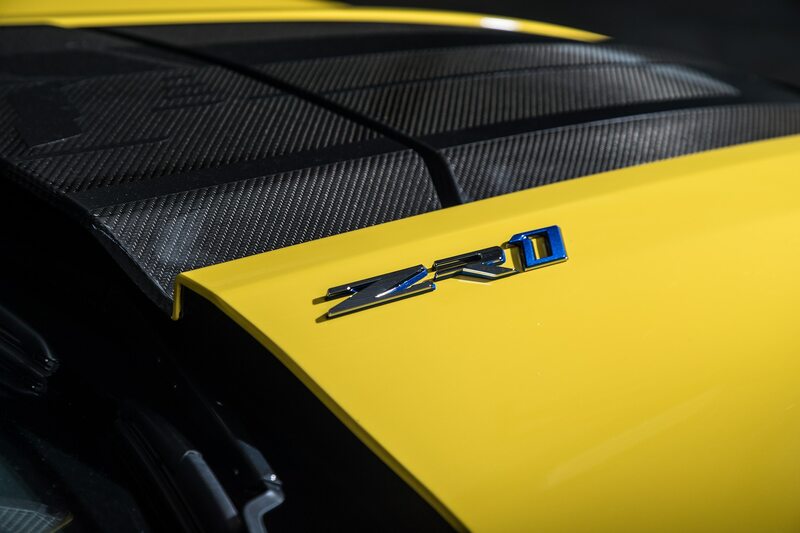 For now and the foreseeable future, then, custodians of performance like Reuss and Juechter plan to keep on facilitating street-legal rockets like the new ZR1. 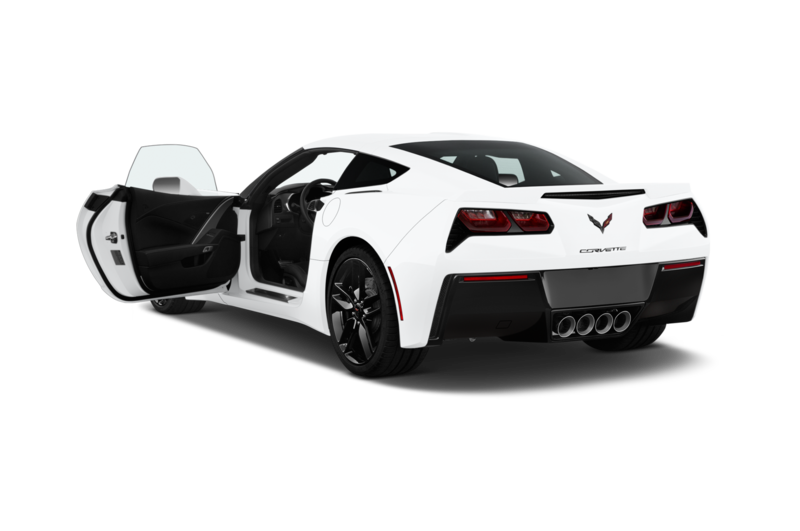 The first time an owner experiences the brutal shove in the back, they’re pretty much guaranteed to think they got a bargain. 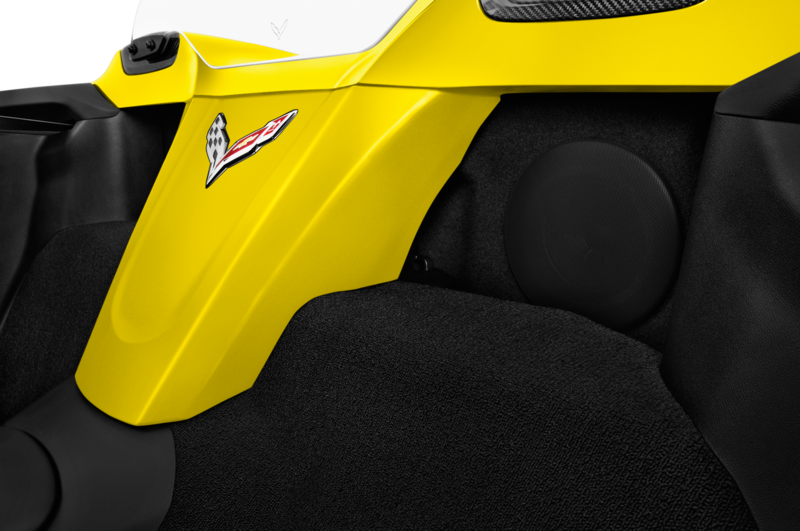 Teddy Roosevelt would be blown away.